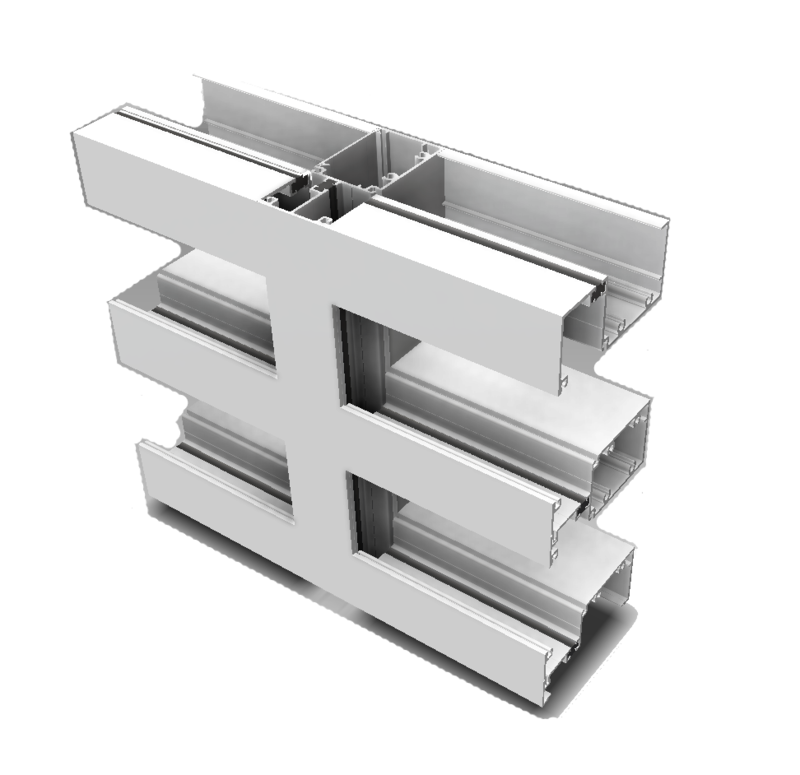 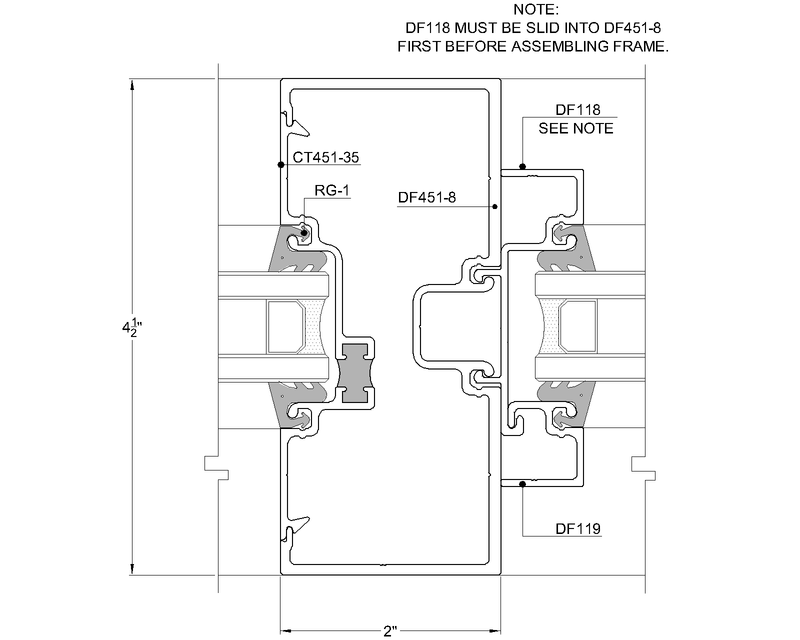 Trulite Glass & Aluminum Solutions’ FG/FT451 Storefront is engineered to provide simple fabrication, easy assembly and problem free installations in an easy to use, economical front glazed framing system. 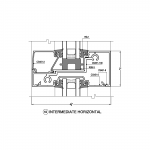 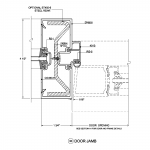 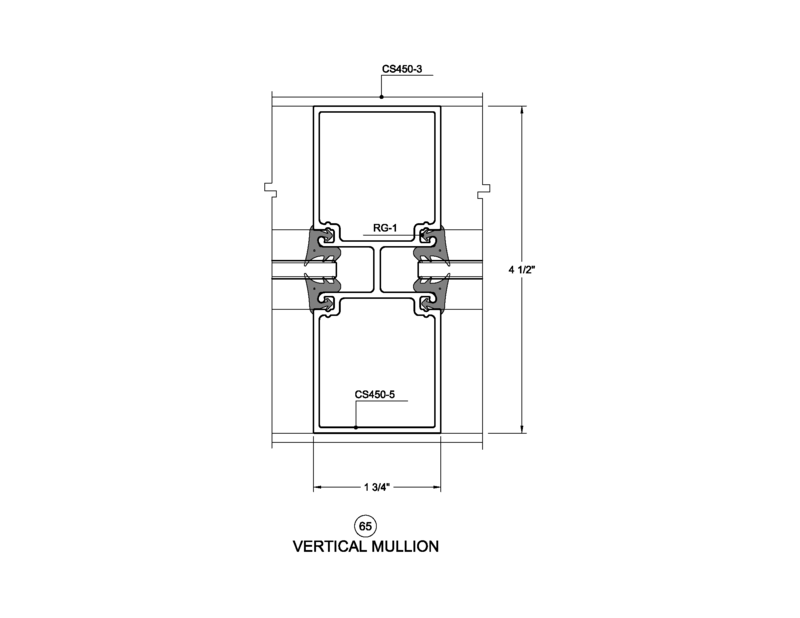 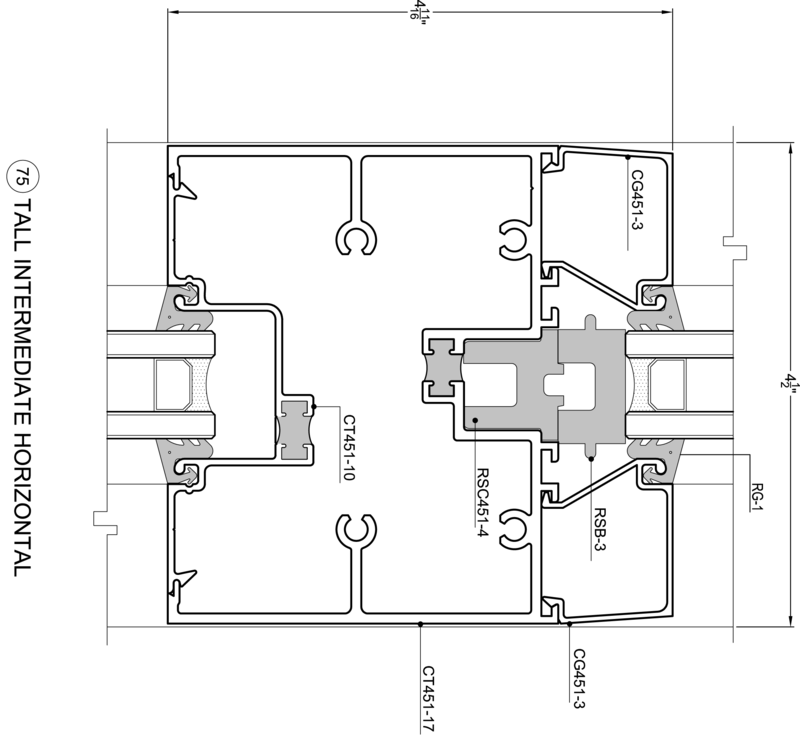 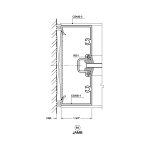 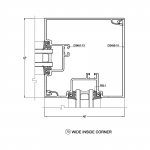 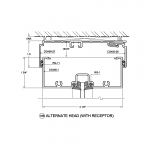 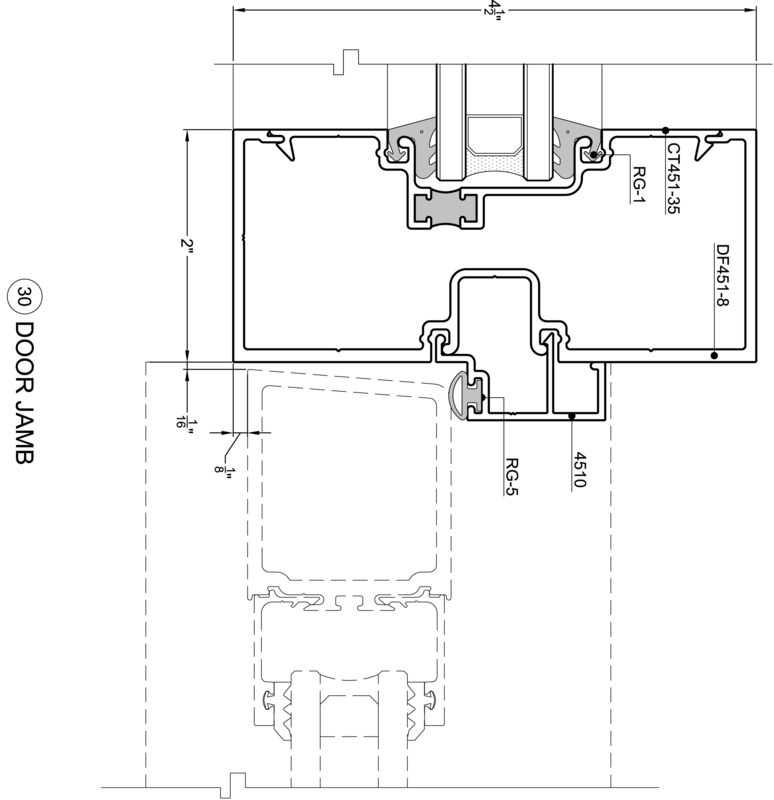 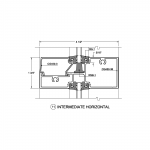 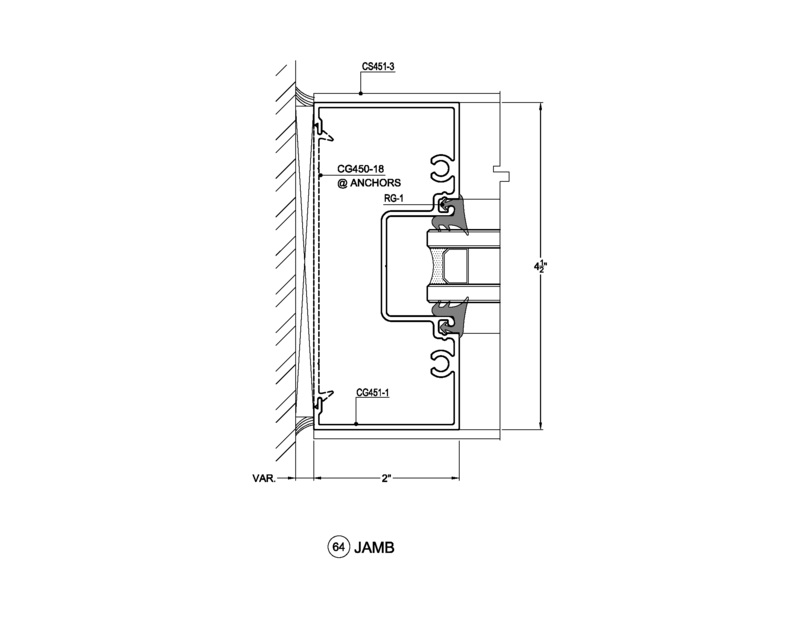 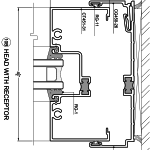 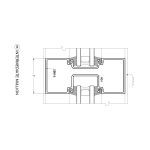 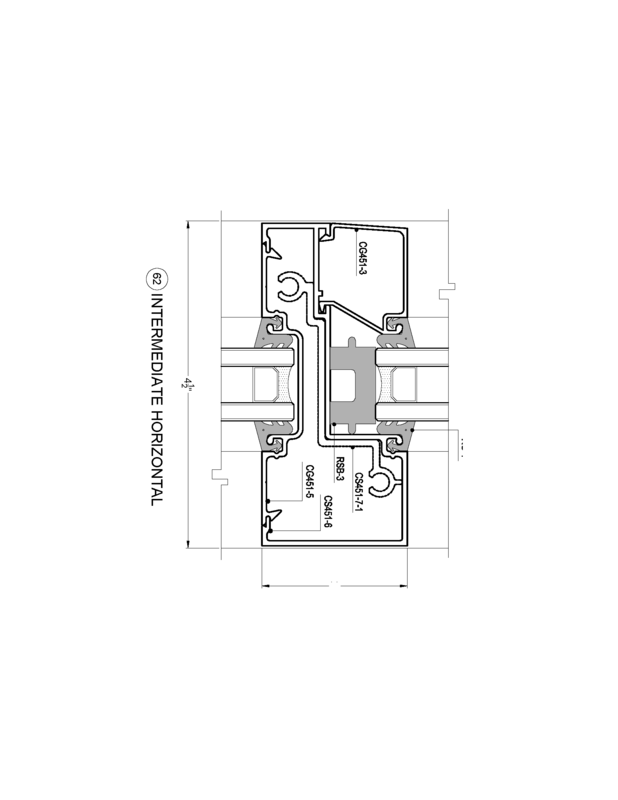 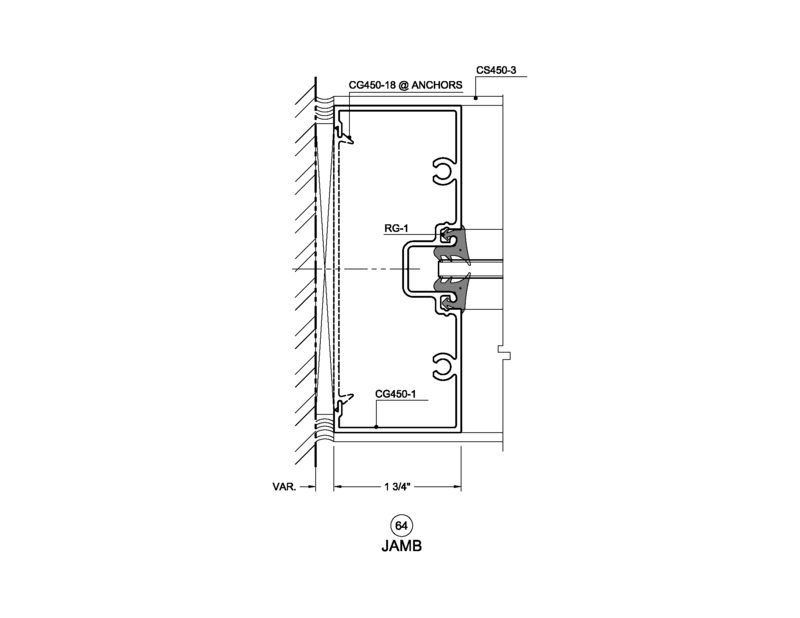 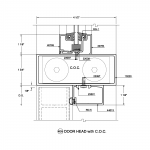 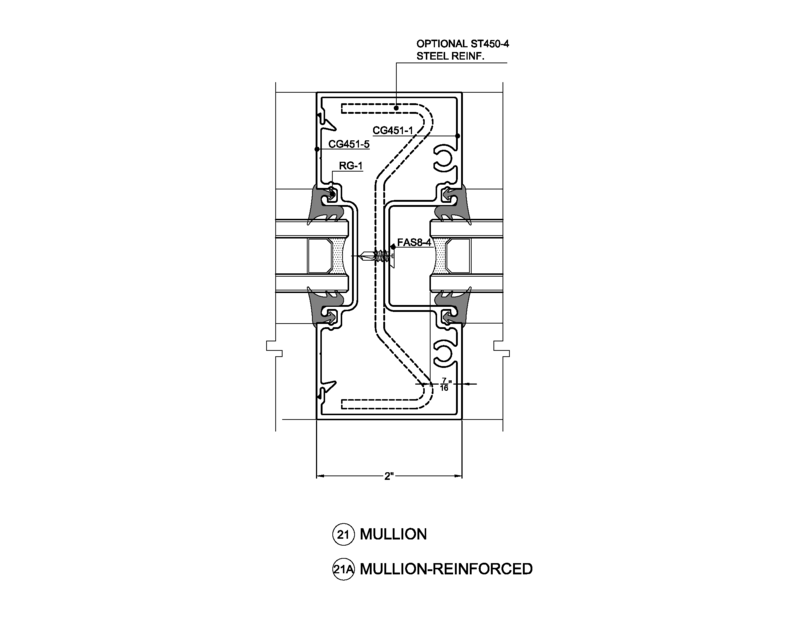 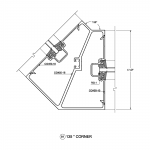 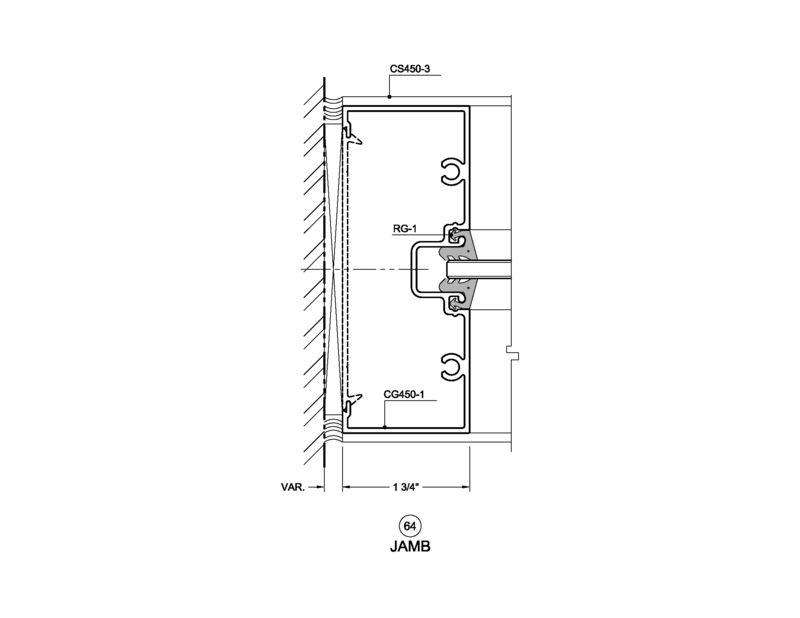 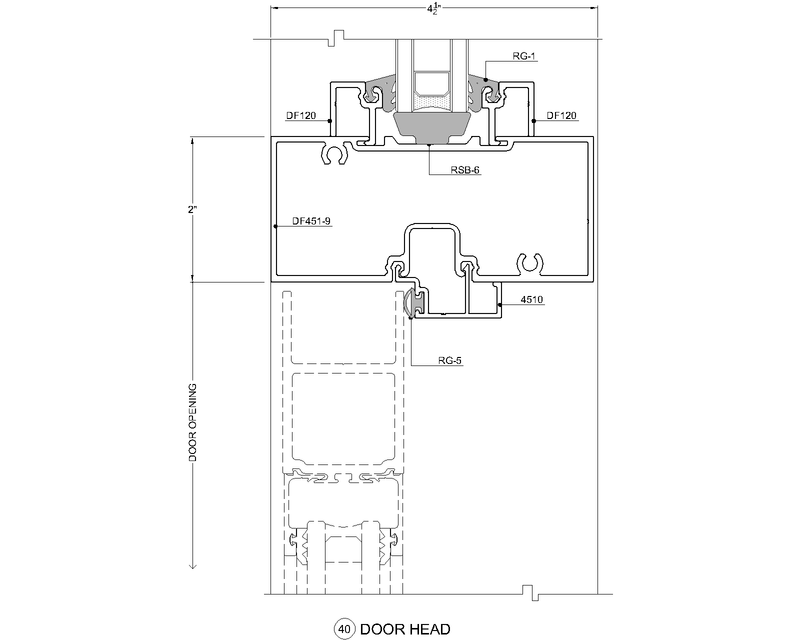 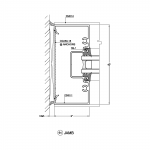 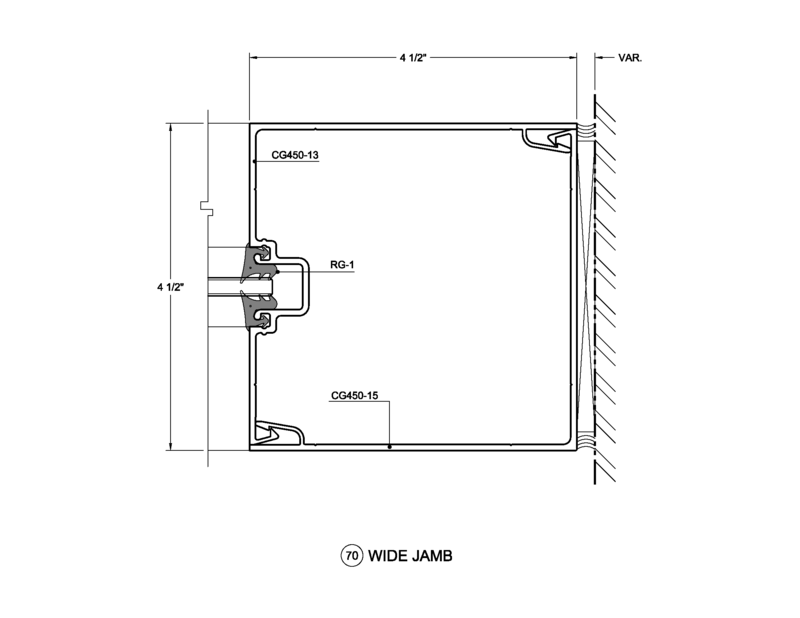 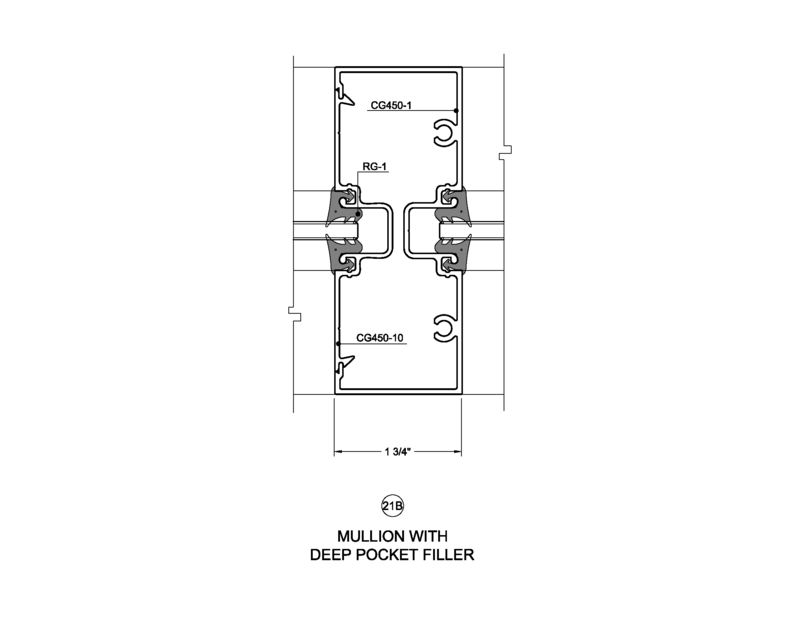 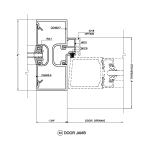 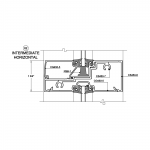 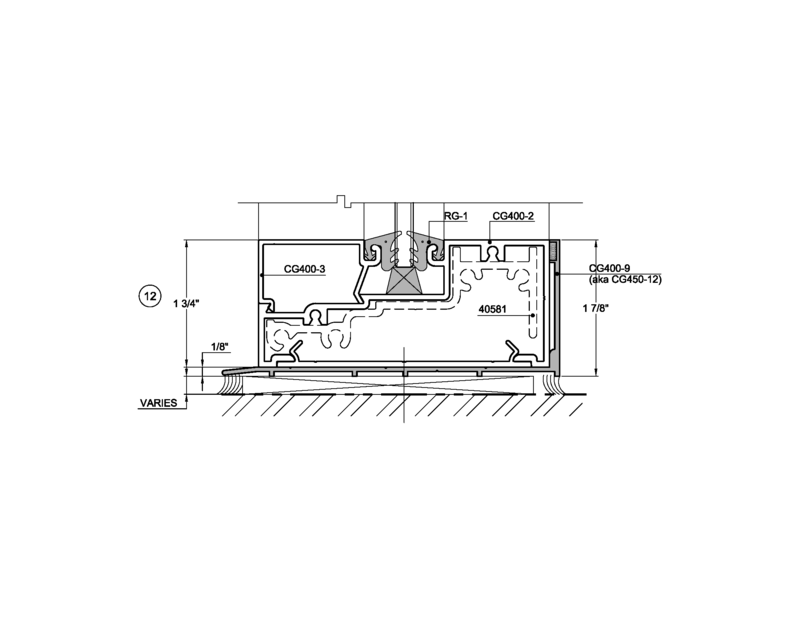 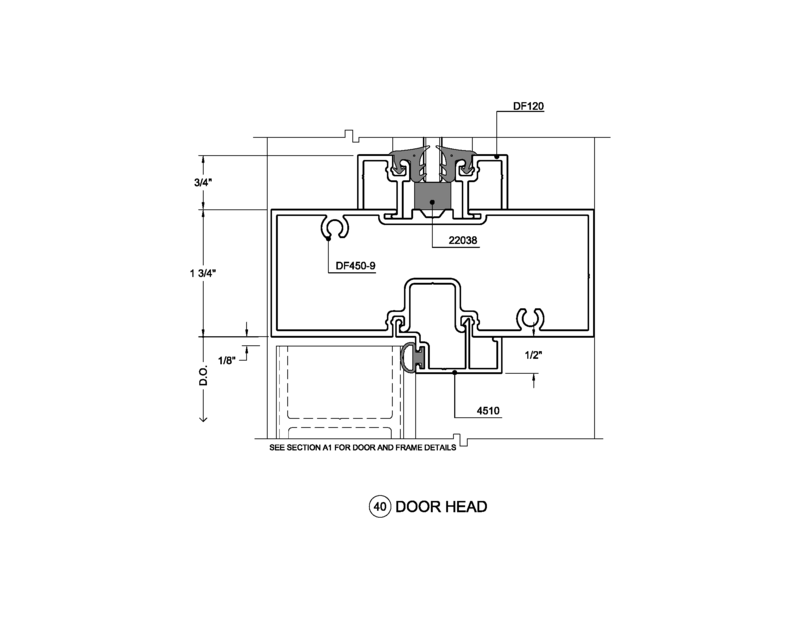 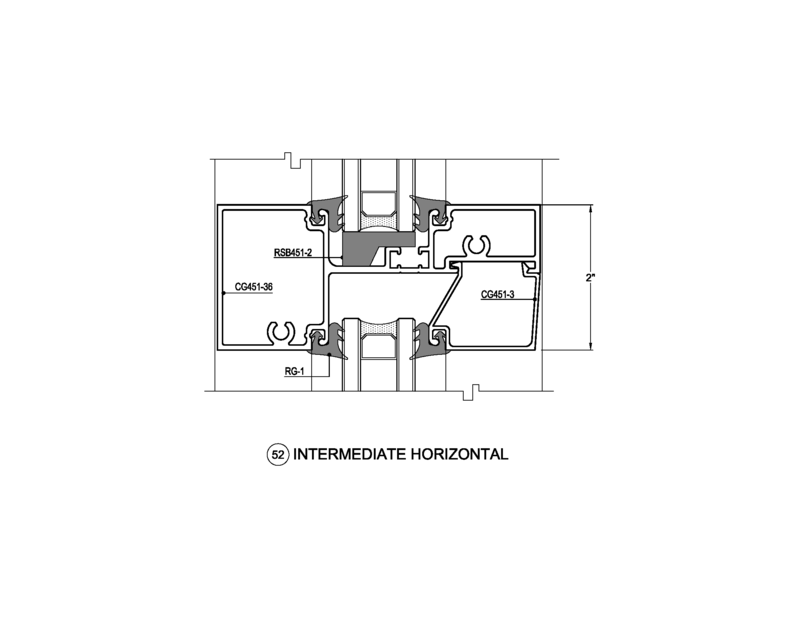 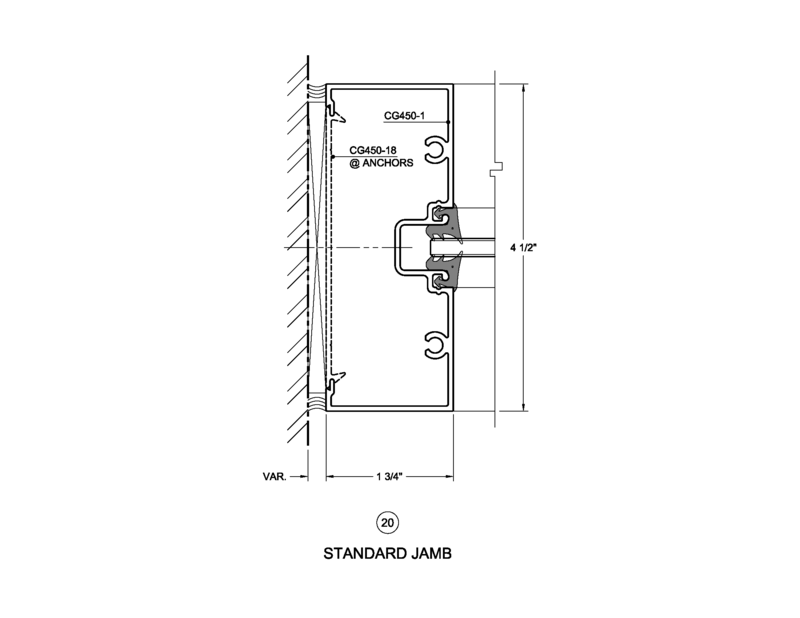 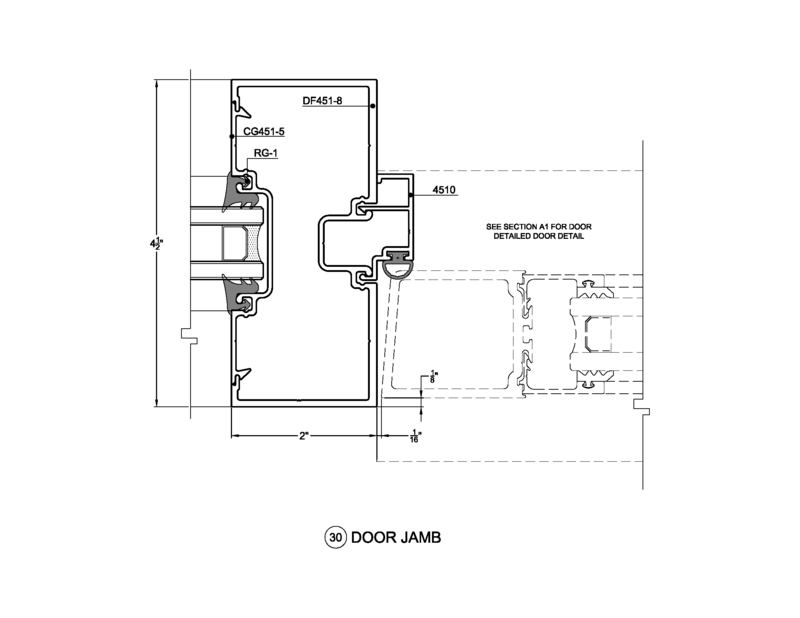 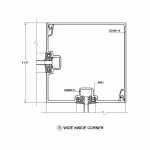 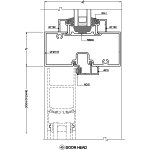 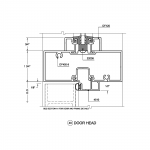 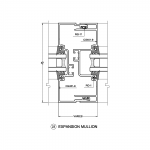 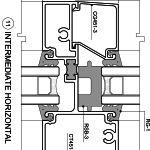 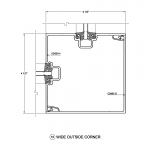 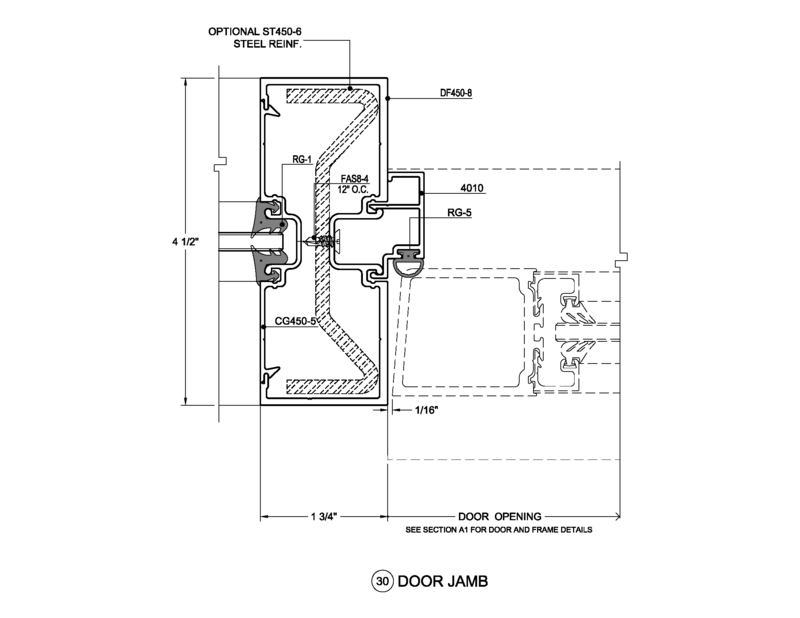 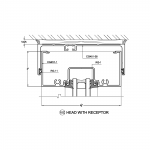 The 2″ x 4-1/2″ front glazed system is available in a screw spline and shear clip assembly and is ideal for single span thermal or non-thermal storefront applications. 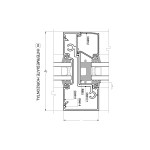 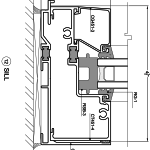 The FT451 can be glazed with 1″ insulated glazing infill. 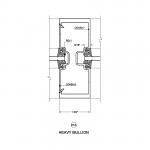 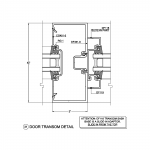 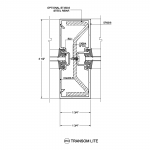 Trulite’s 200, 300 & 500 entrances are easily integrated into this system. 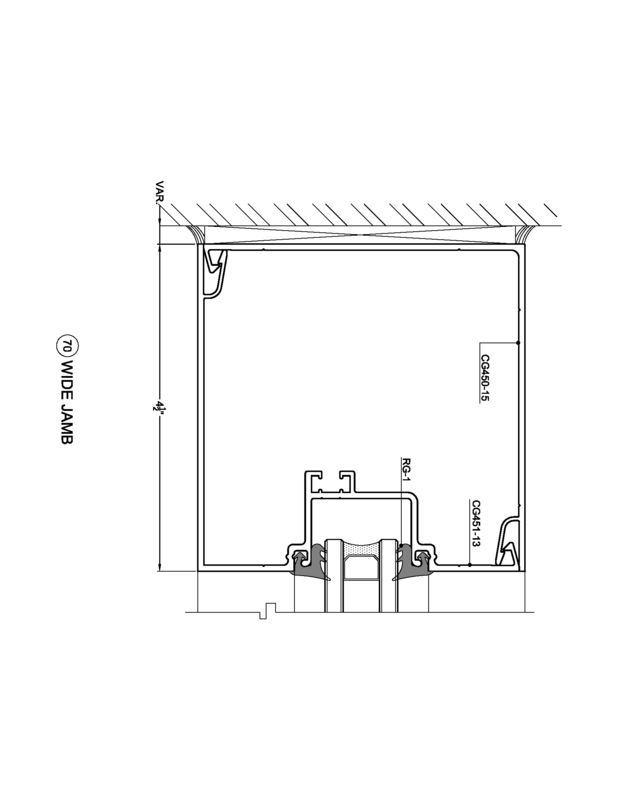 Trulite Glass & Aluminum Solutions’ CG400 Storefront is engineered to provide simple fabrication, easy assembly and problem free installations in an easy to use, economical flush glazed framing system. 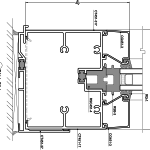 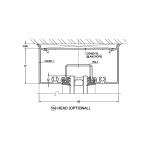 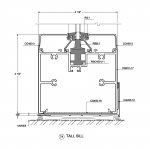 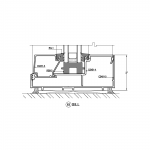 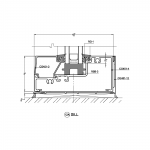 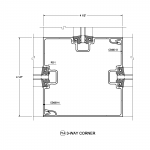 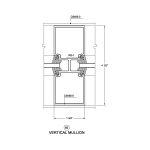 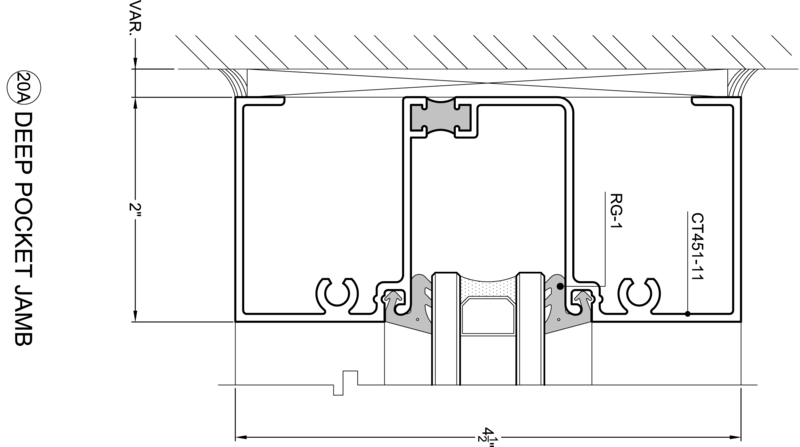 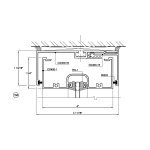 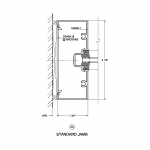 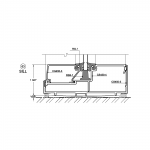 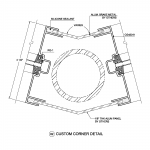 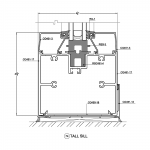 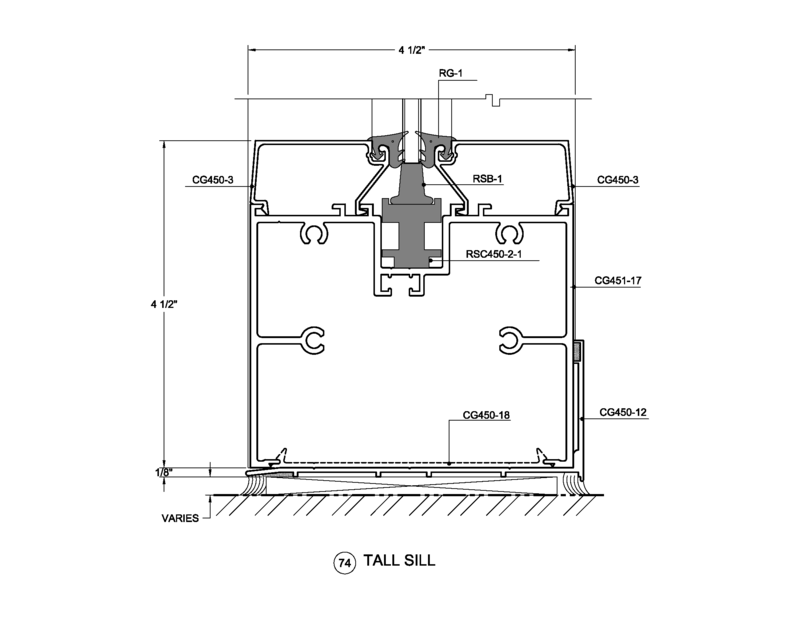 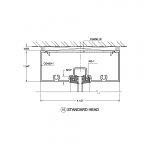 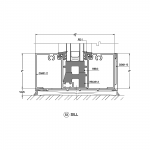 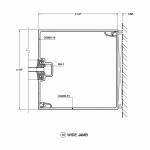 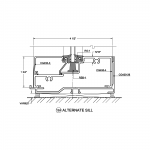 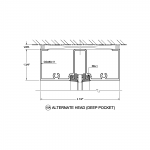 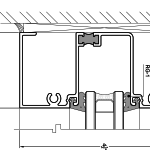 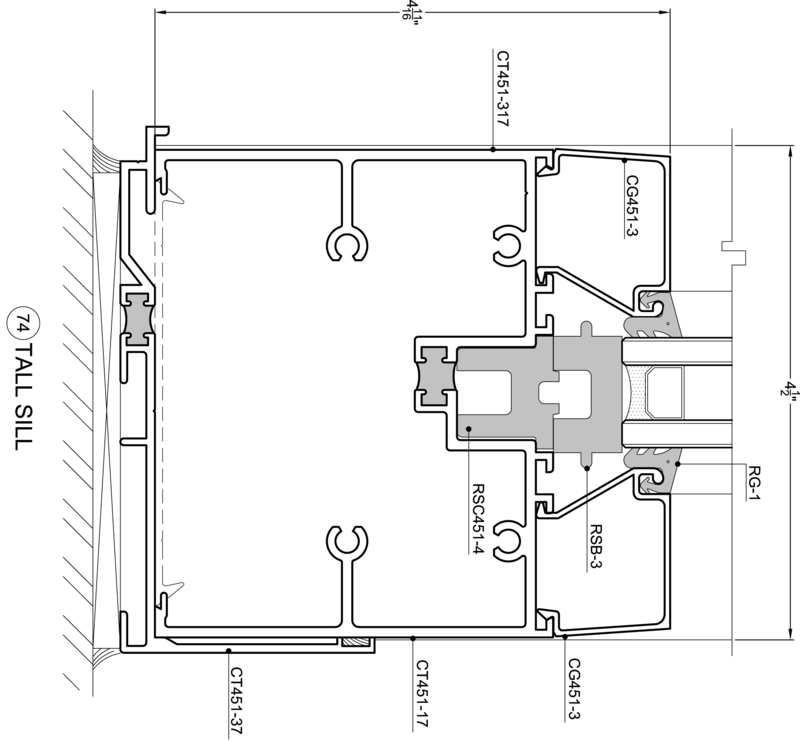 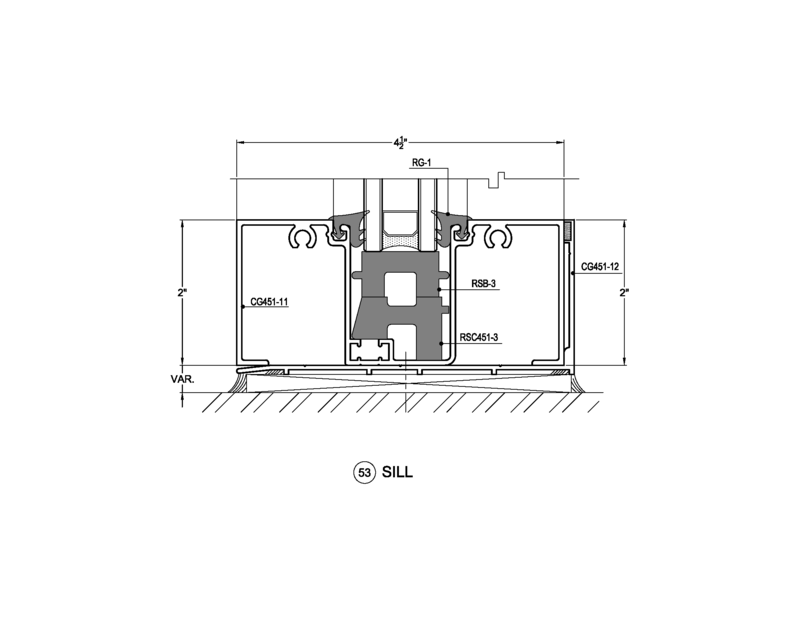 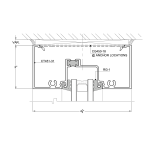 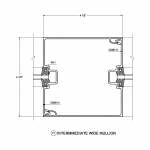 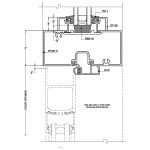 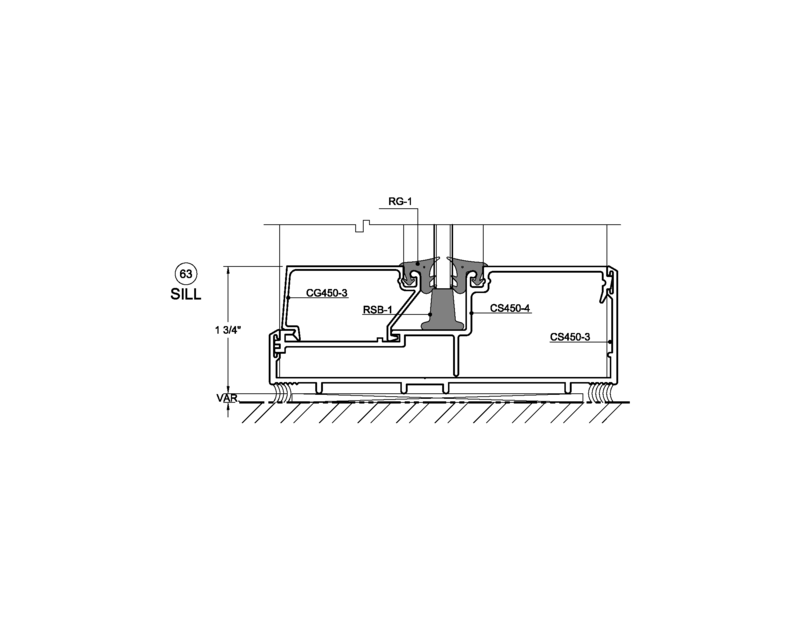 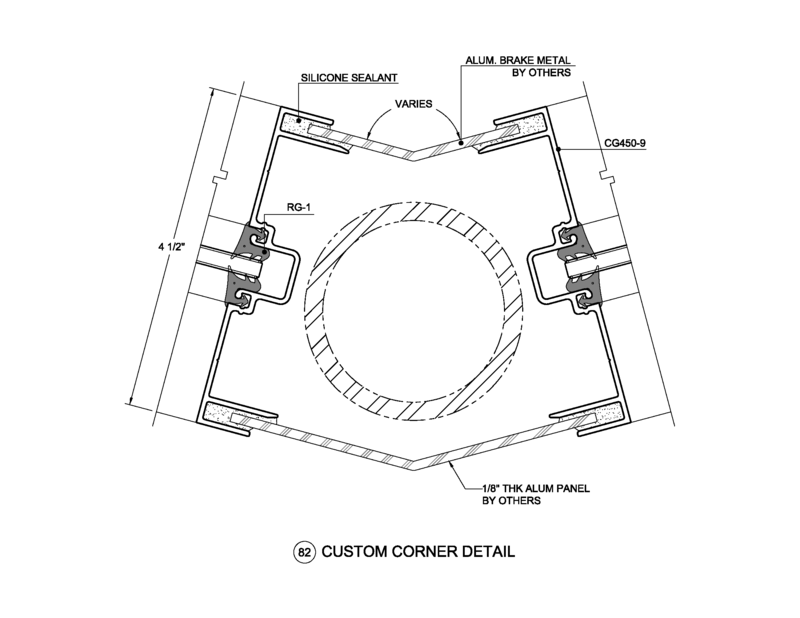 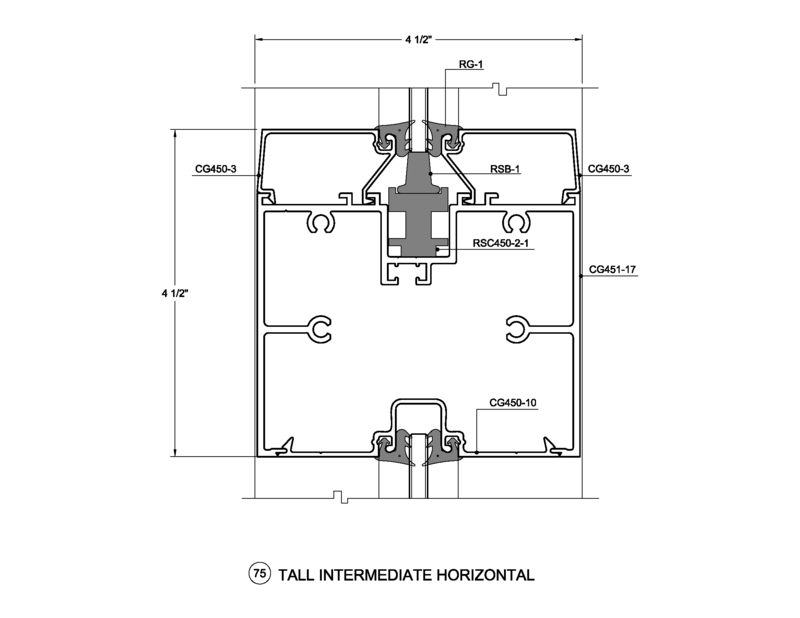 The 2″ x 4″ center glazed system is available in screw spline or shear clip assembly and is ideal for single span non-thermal storefront applications. 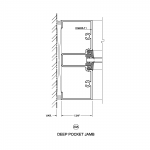 The system has options for interior glazing and stack assembly lending itself to the varying needs of our customers. 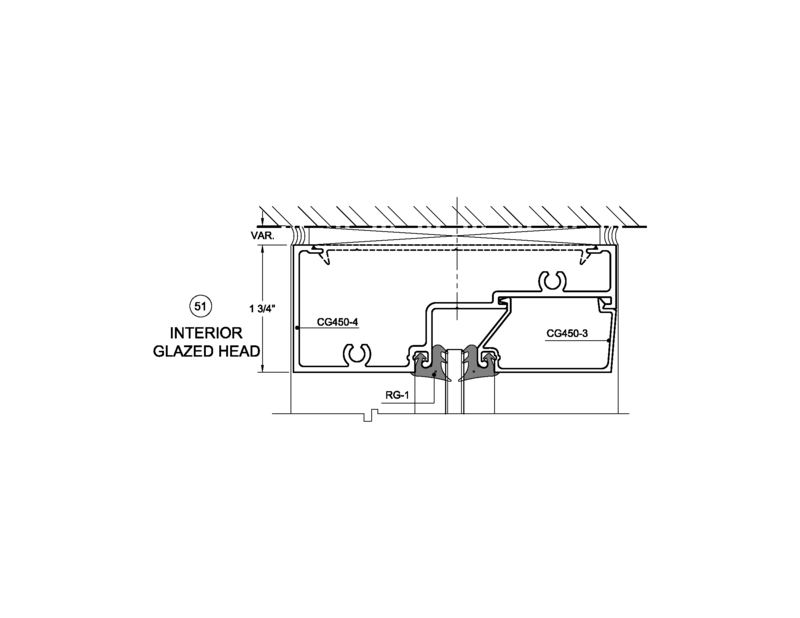 The CG400 can be glazed with 3/16″ or 1/4″ insulated glazing infill. 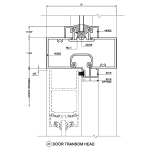 Trulite’s 200, 300 & 500 entrances are easily integrated into this system. 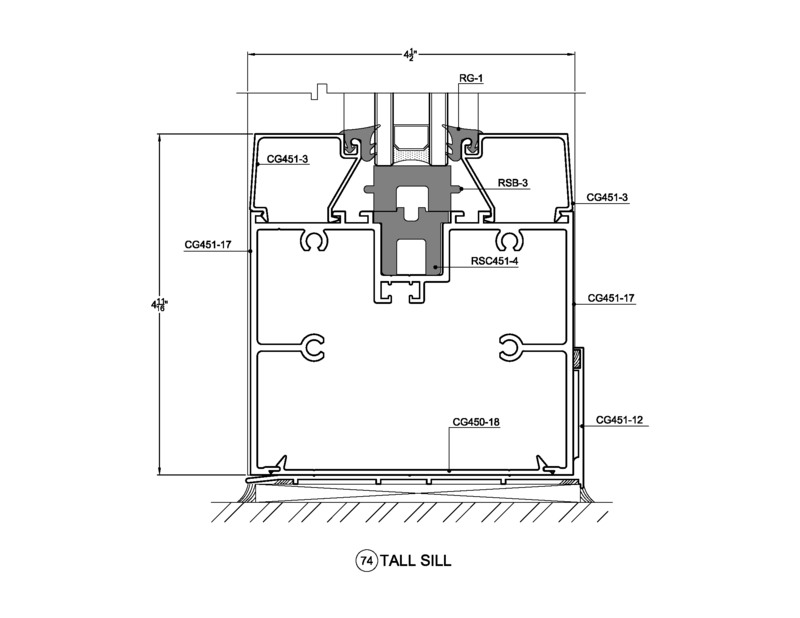 Trulite Glass & Aluminum Solutions’ CG450/CS450 Storefront is engineered to provide simple fabrication, easy assembly and problem free installations in an easy to use, economical flush glazed framing system. 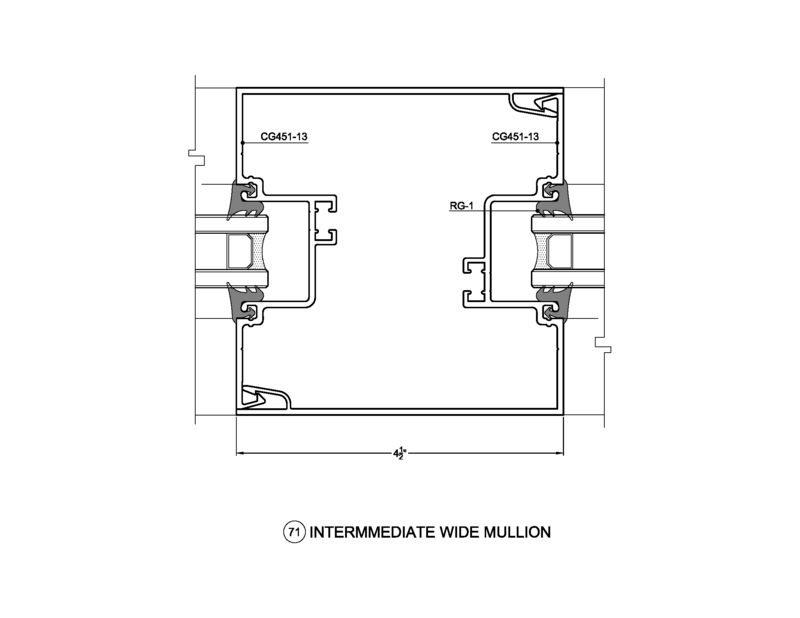 The 1-3/4″ x 4-1/2″ center glazed screw spline system is ideal for single span storefronts and interior applications. 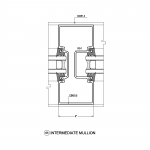 The system has options for interior glazing and stack assembly lending itself to the varying needs of our customers. 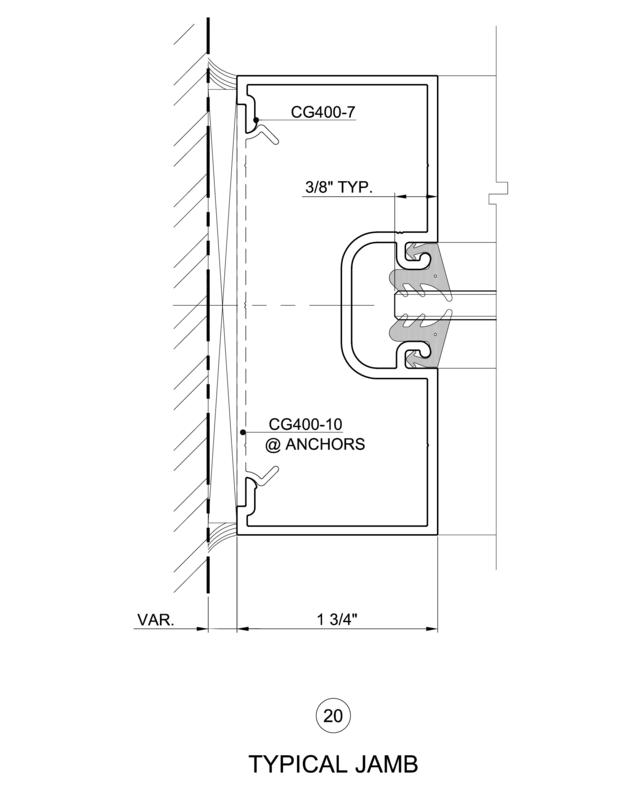 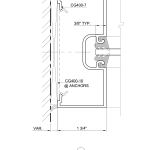 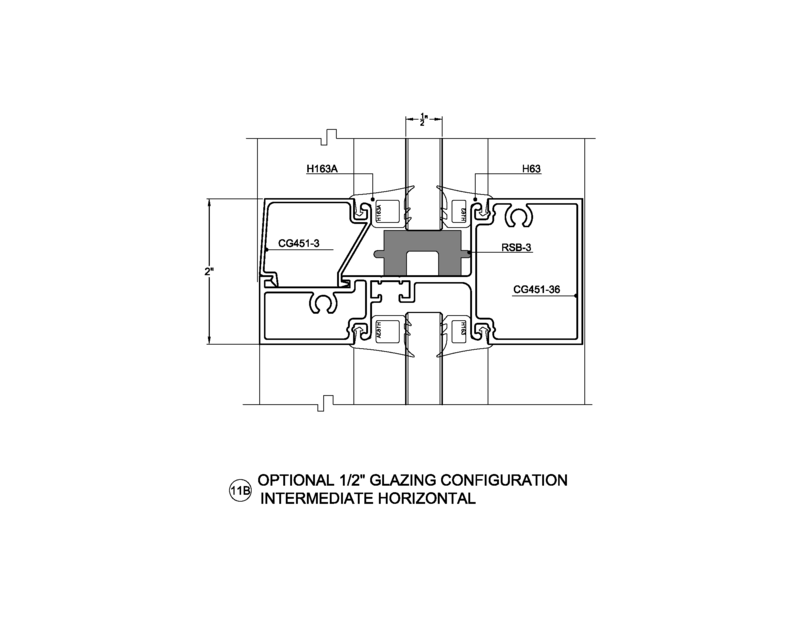 The CG450 can be glazed with 3/16″, 1/4″ or 3/8″ glazing infill. 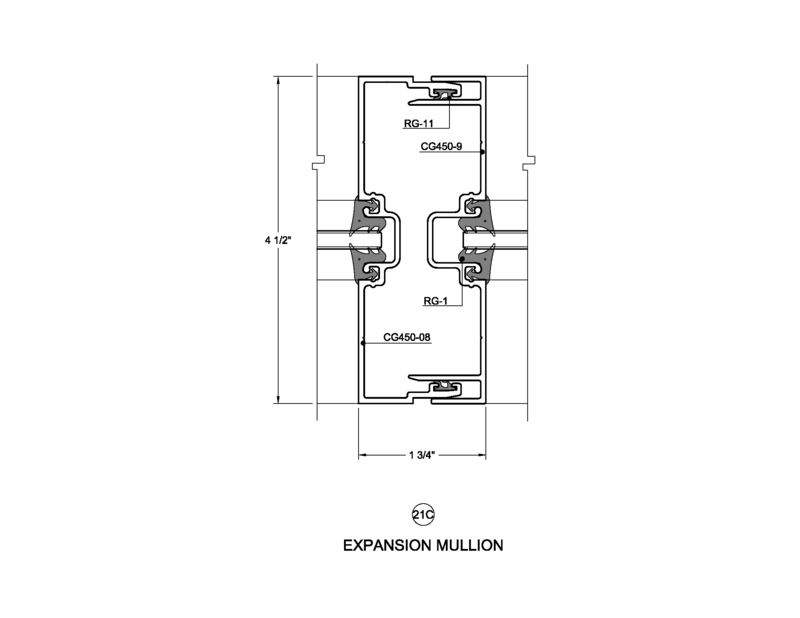 Trulite’s 200, 300 & 500 entrances are easily integrated into this system. 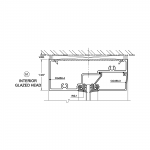 Trulite Glass & Aluminum Solutions’ CG450/CS450 Storefront is engineered to provide simple fabrication, easy assembly and problem free installations in an easy to use, economical flush glazed framing system. 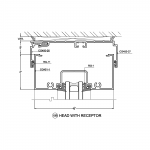 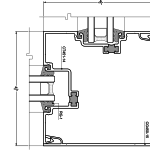 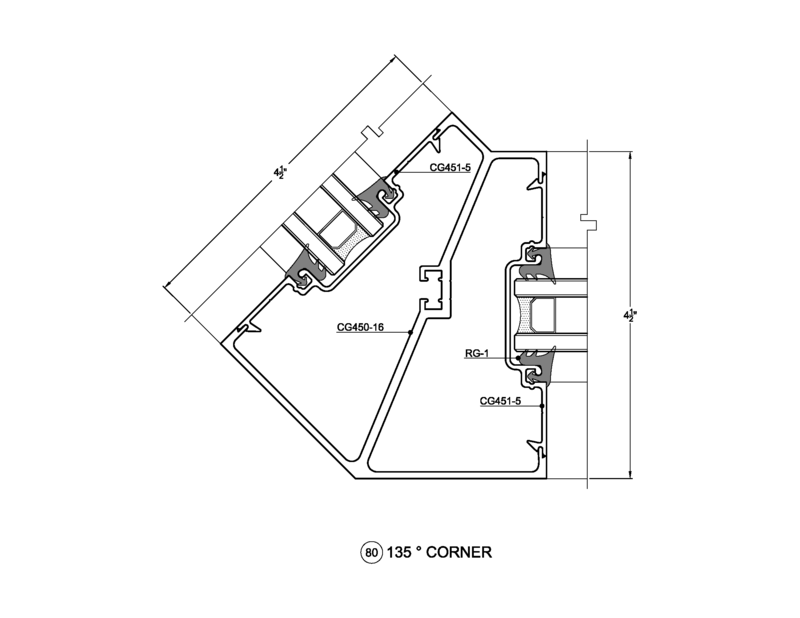 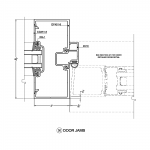 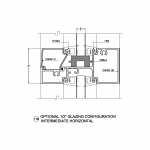 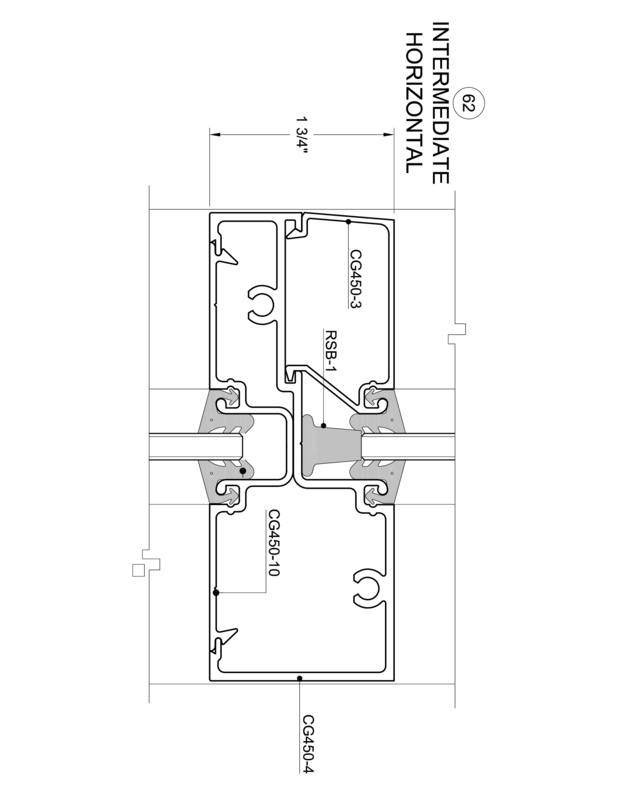 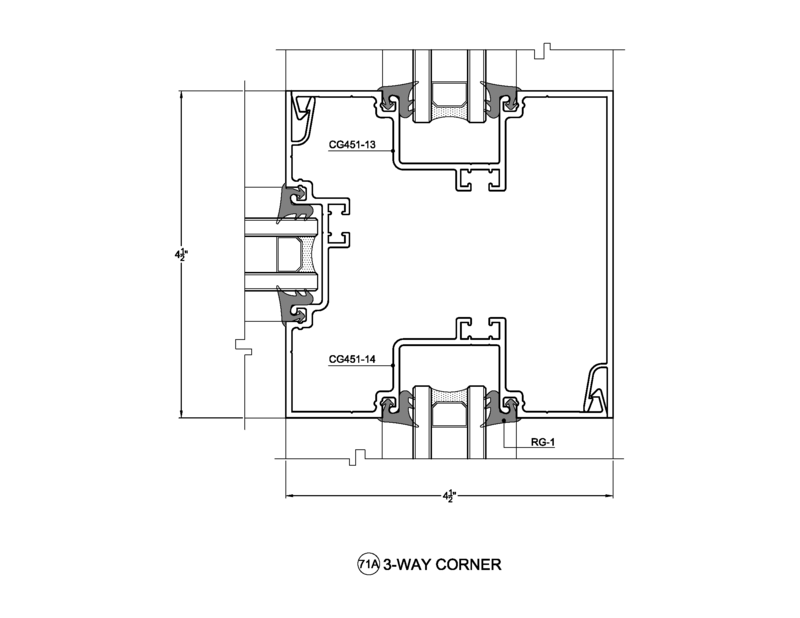 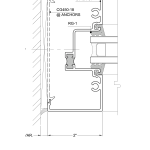 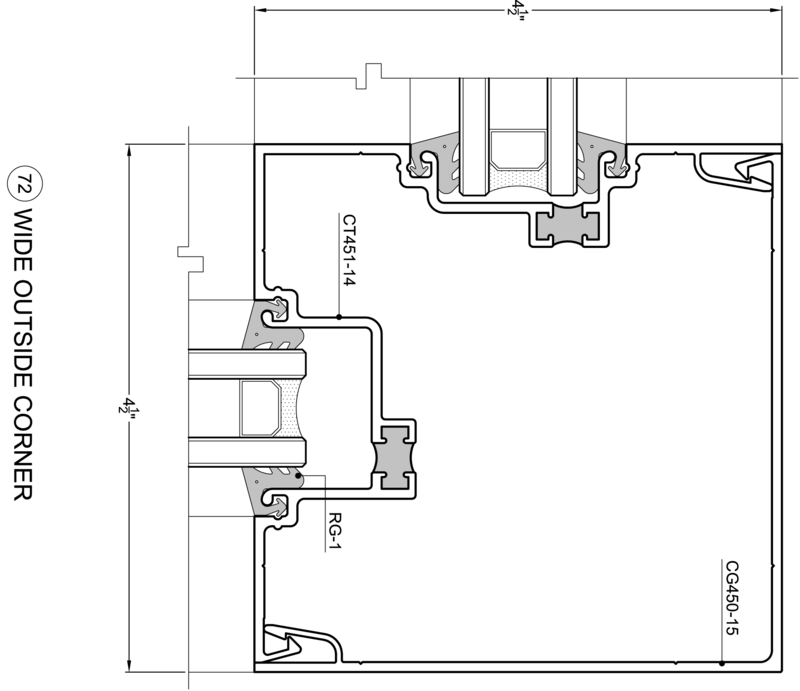 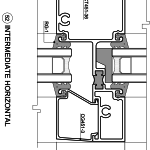 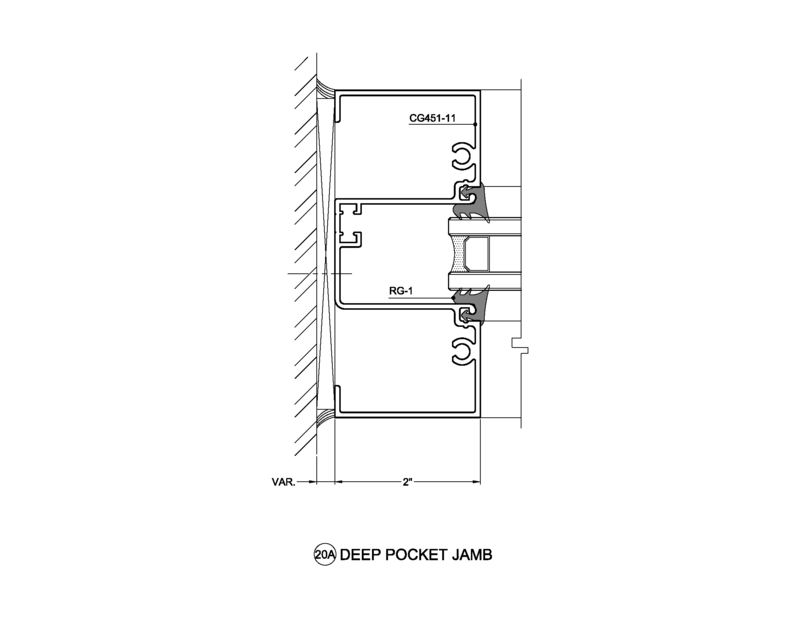 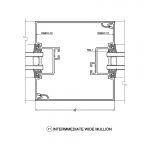 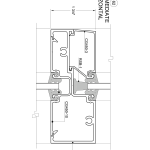 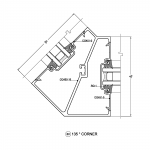 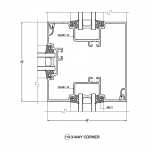 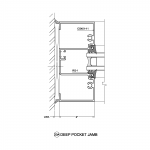 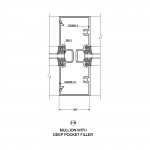 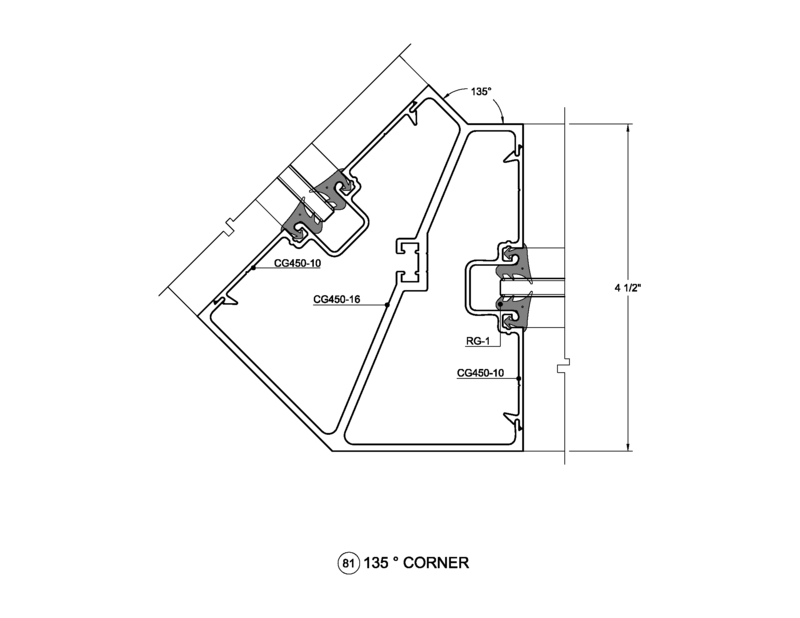 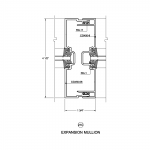 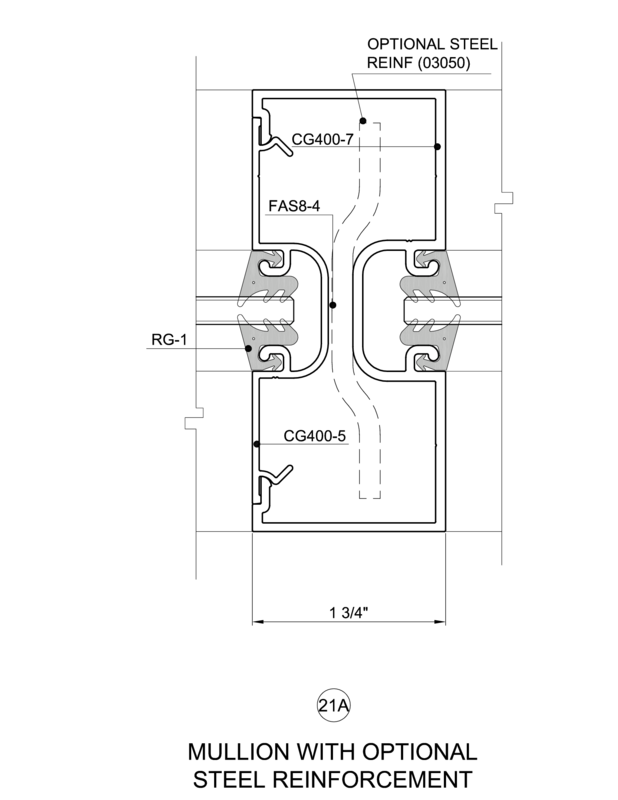 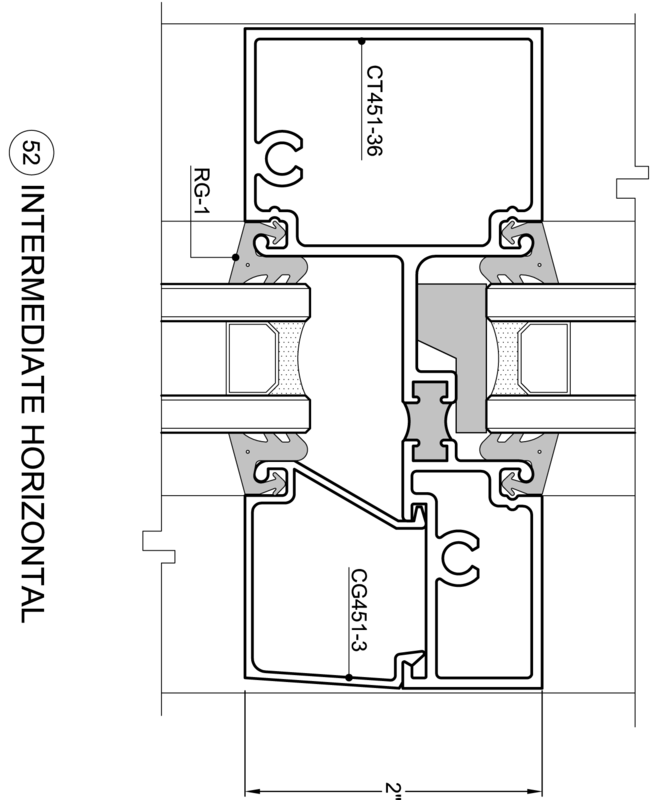 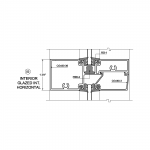 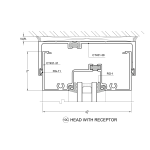 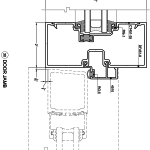 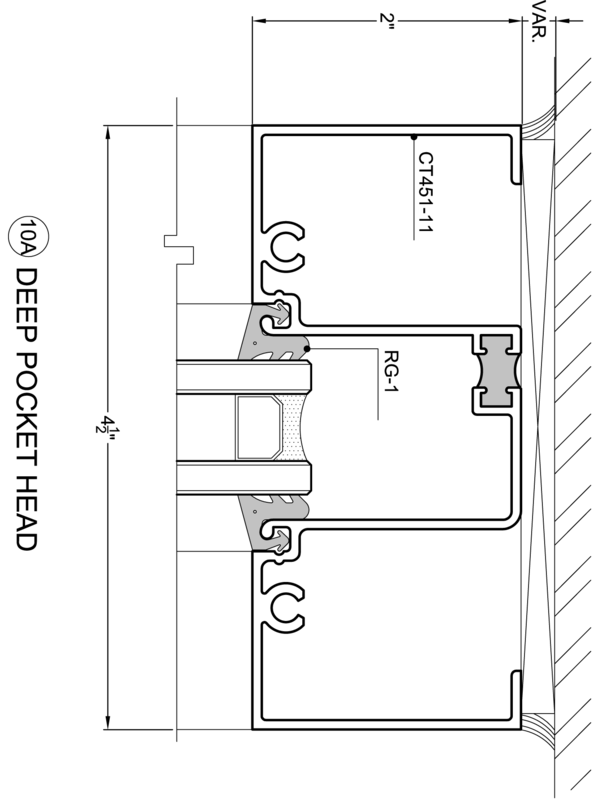 The 1-3/4″ x 4-1/2″ center glazed system is available in screw spline or shear clip assembly and is ideal for single span storefronts and interior applications. The system has options for interior glazing and stack assembly lending itself to the varying needs of our customers. 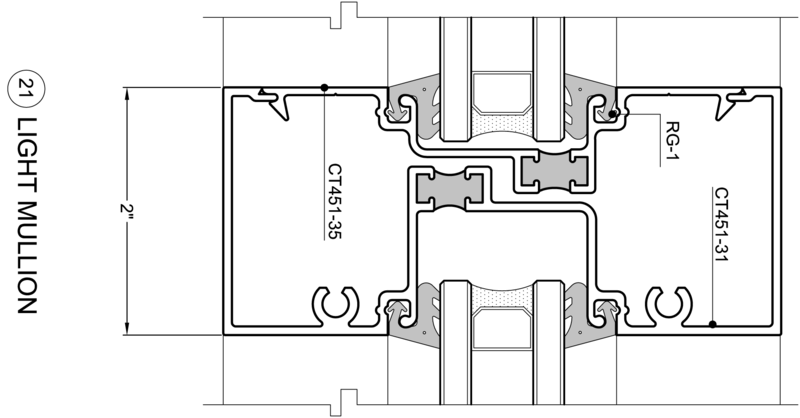 The CG450 can be glazed with 3/16″, 1/4″ or 3/8″ glazing infill. 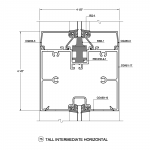 Trulite’s 200, 300 & 500 entrances are easily integrated into this system. 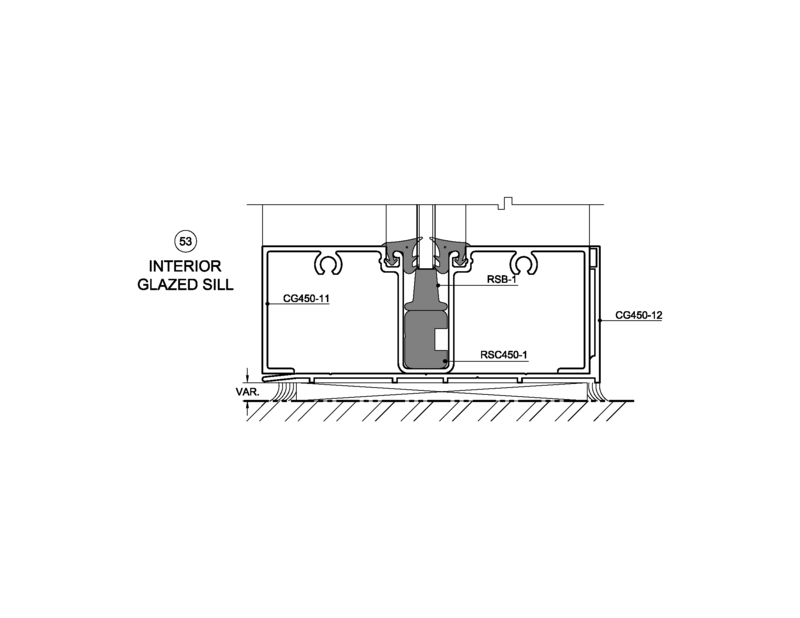 Trulite Glass & Aluminum Solutions’ CG451/CS451 Storefront is engineered to provide simple fabrication, easy assembly and problem free installations in an easy to use, economical flush glazed framing system. 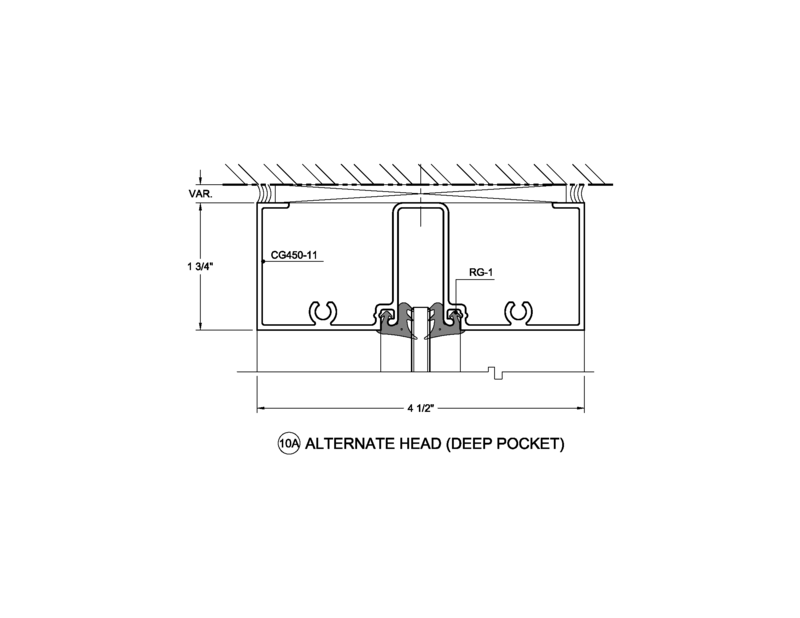 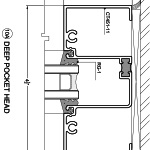 The 2″ x 4-1/2″ center glazed screw spline non-thermal system is ideal for single span storefront applications. 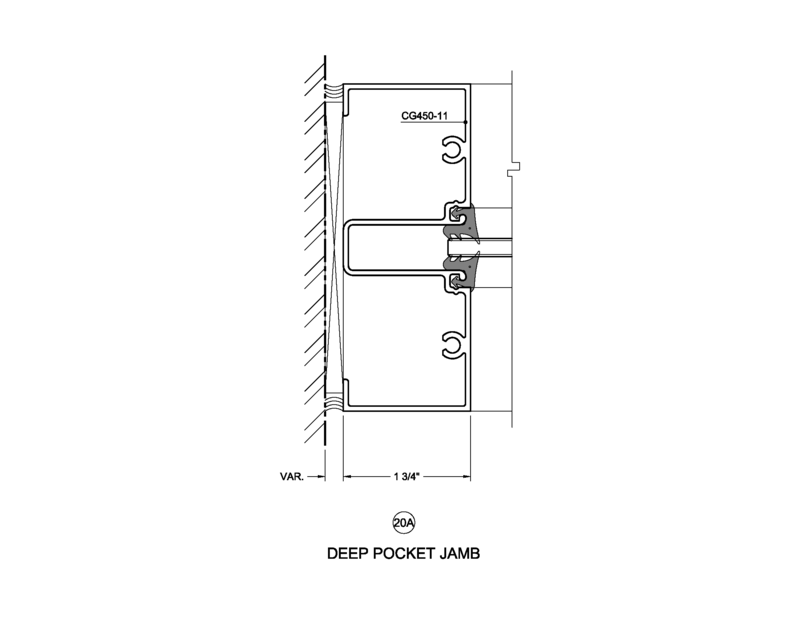 The system has options for interior glazing and stack assembly lending itself to the varying needs of our customers. 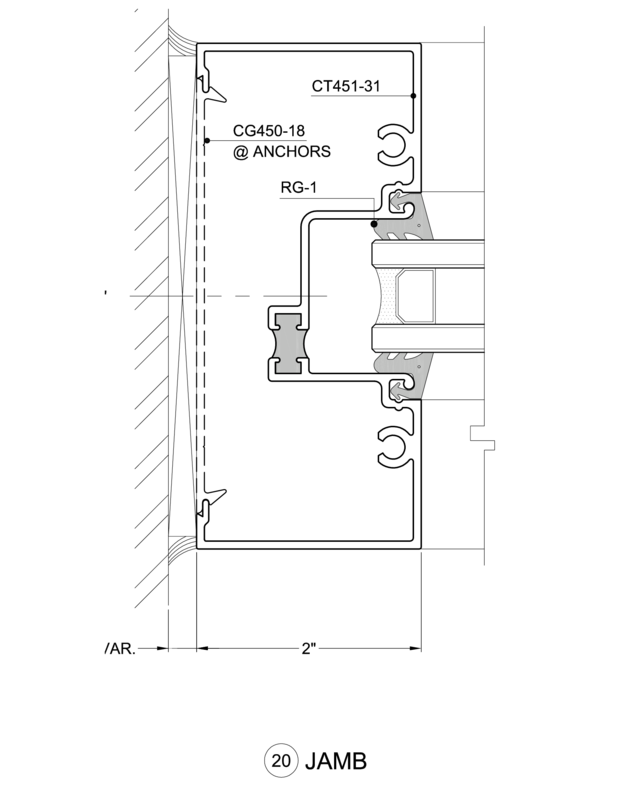 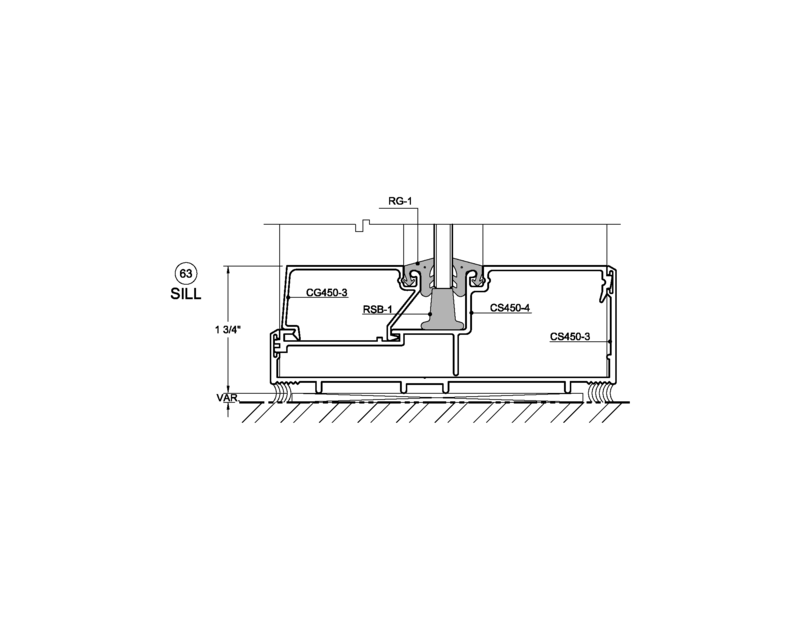 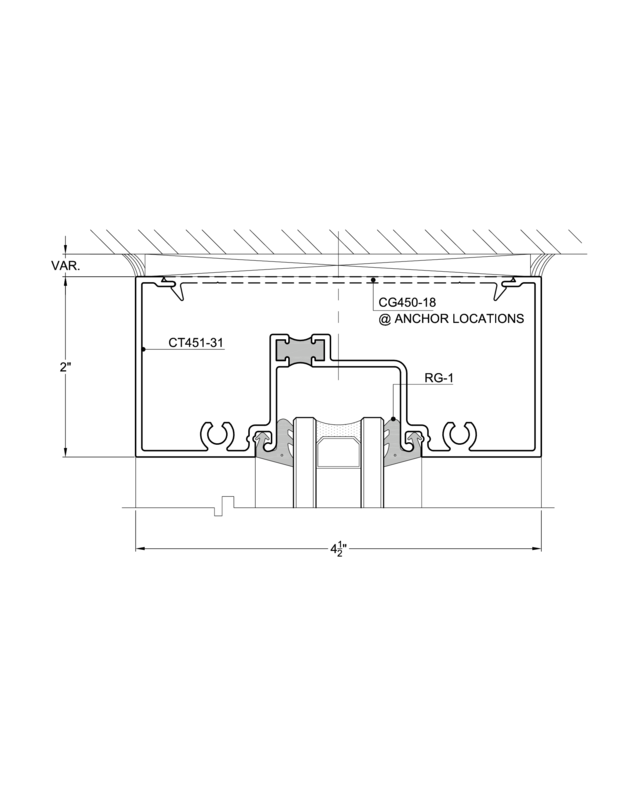 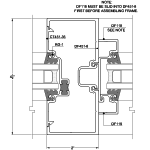 The CG451 can be glazed with 7/8″, 1″ or 1-1/16″ insulated glazing infill. 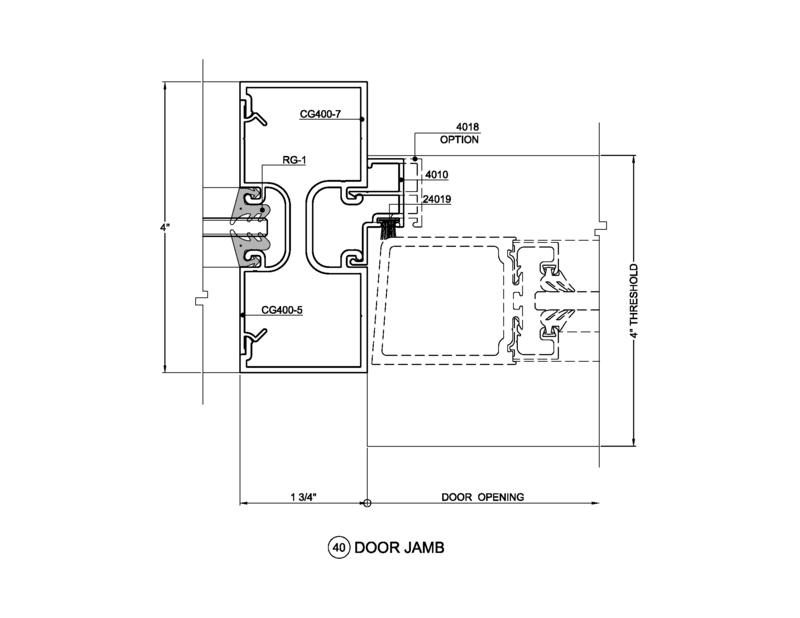 Trulite’s 200, 300 & 500 entrances are easily integrated into this system. 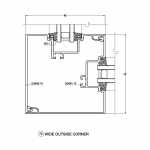 Trulite Glass & Aluminum Solutions’ CG451/CS451 Storefront is engineered to provide simple fabrication, easy assembly and problem free installations in an easy to use, economical flush glazed framing system. 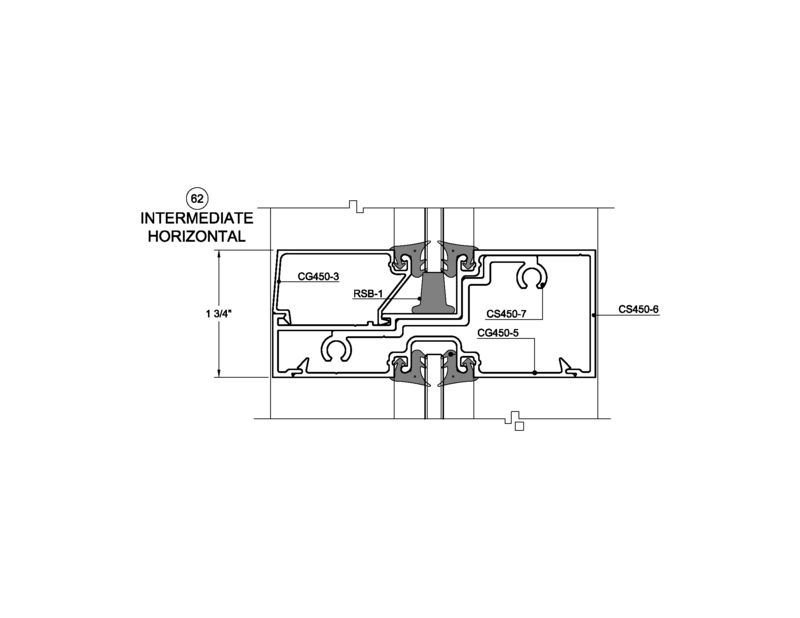 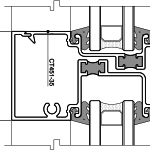 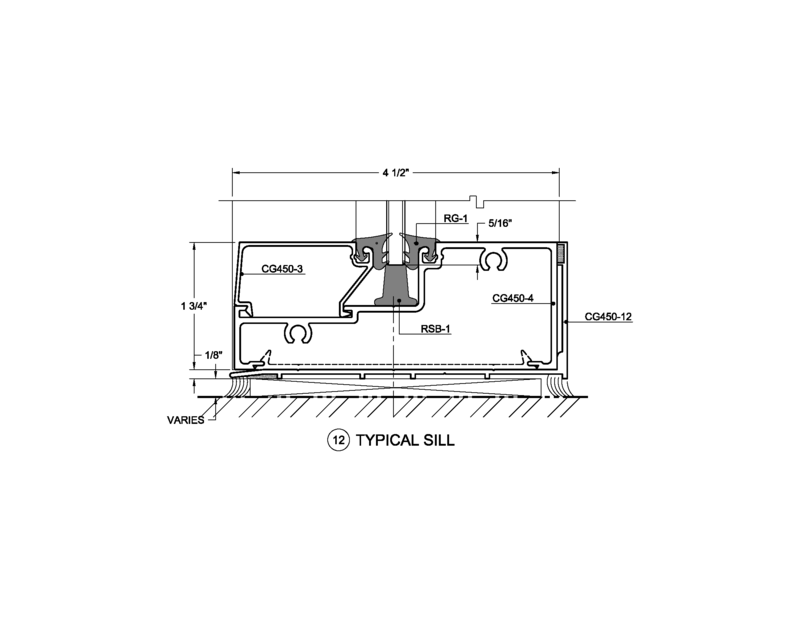 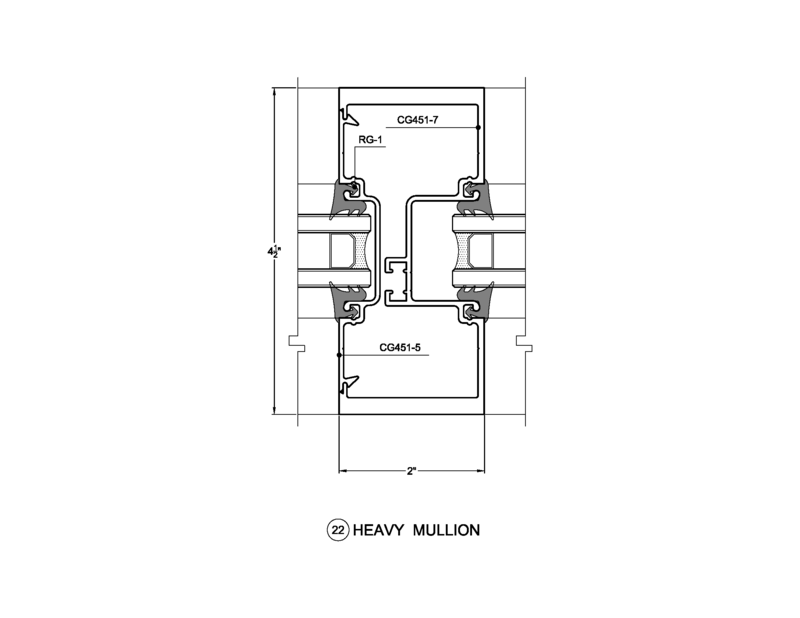 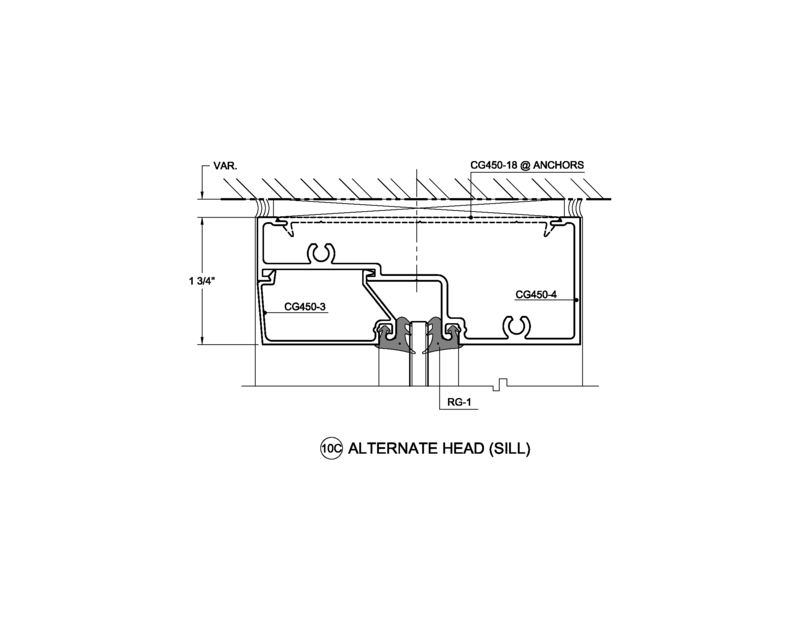 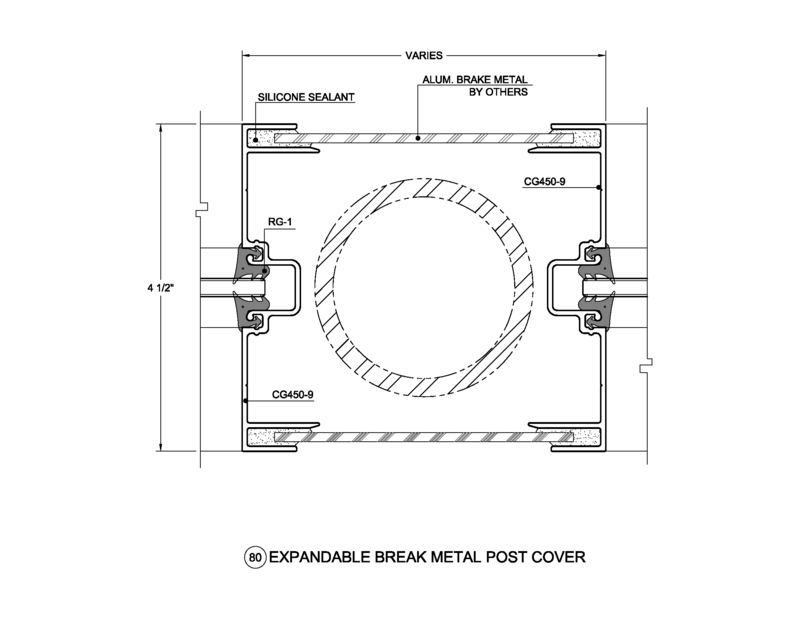 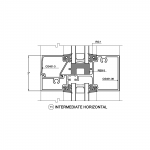 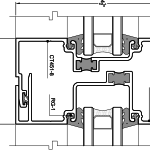 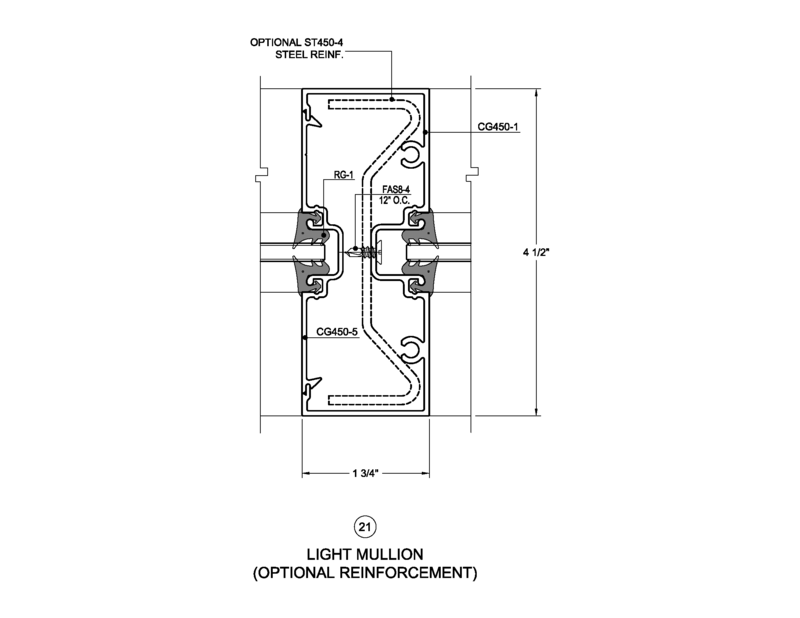 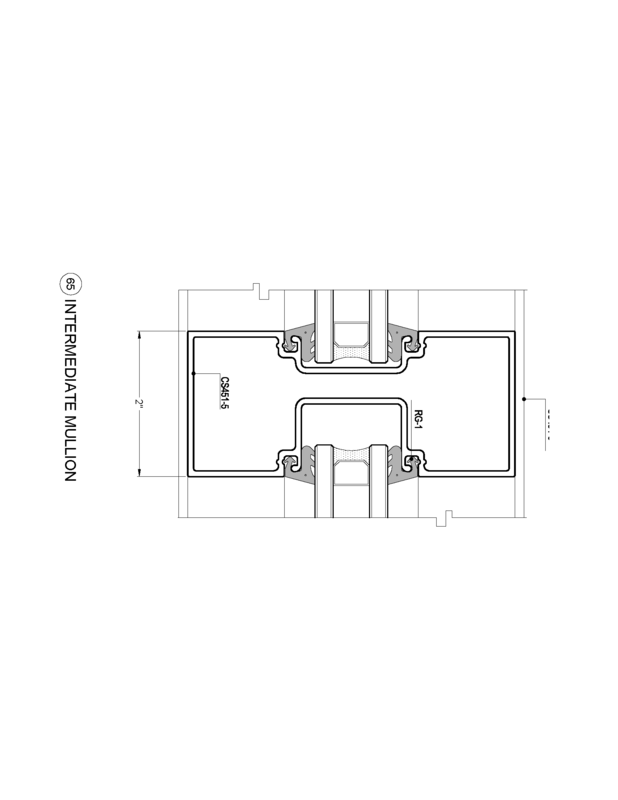 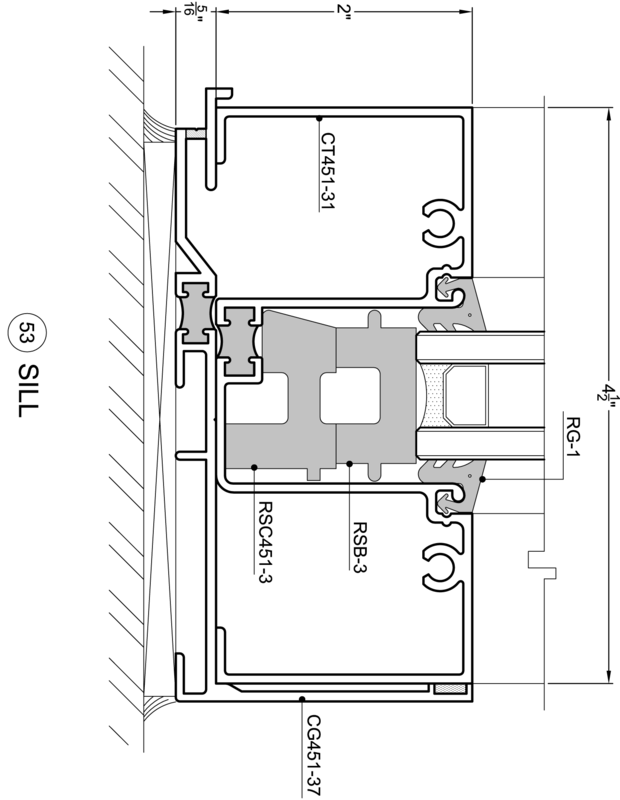 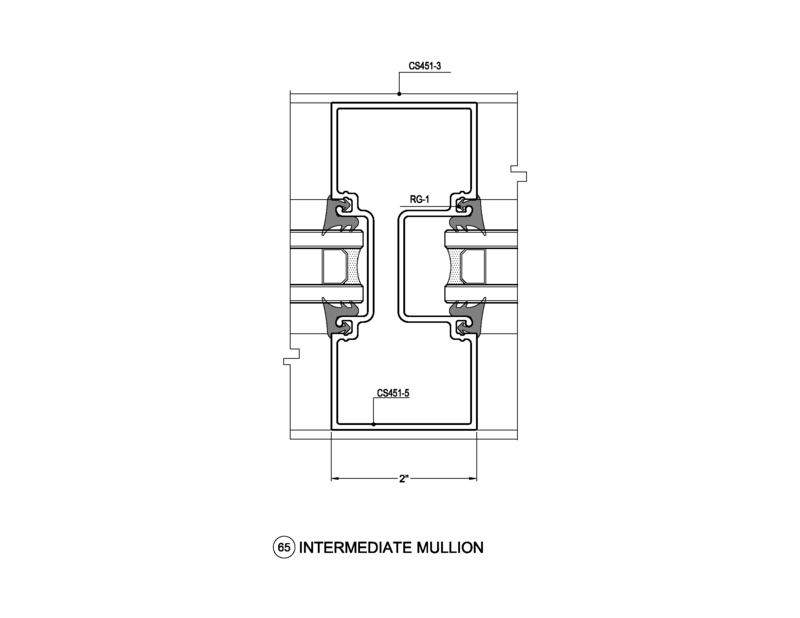 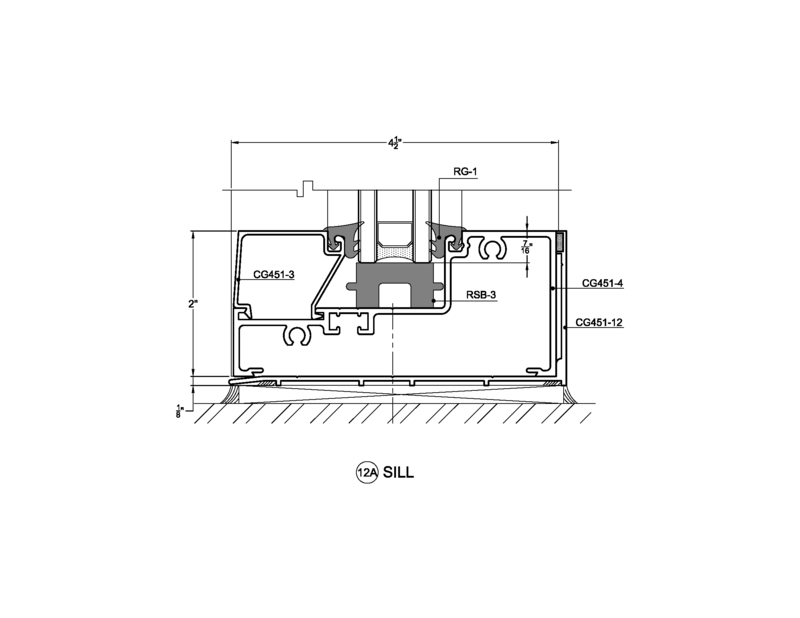 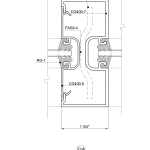 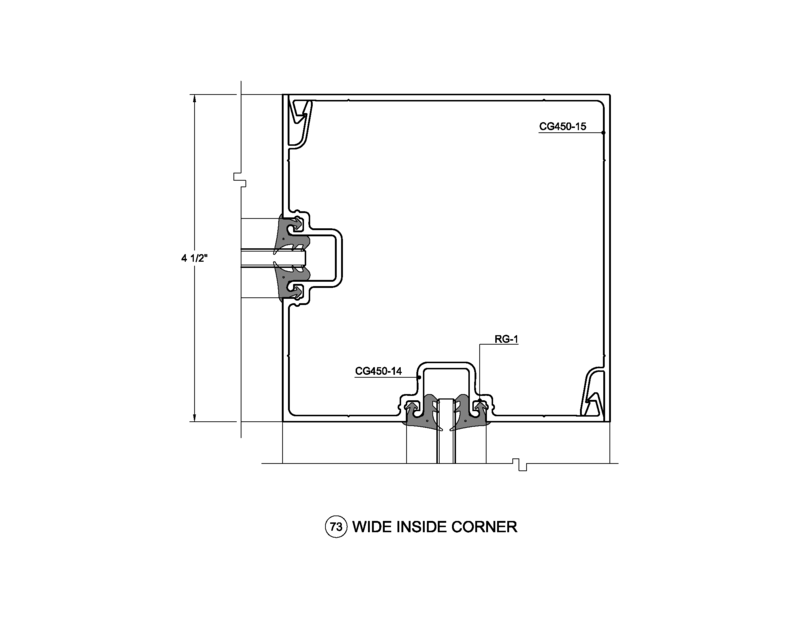 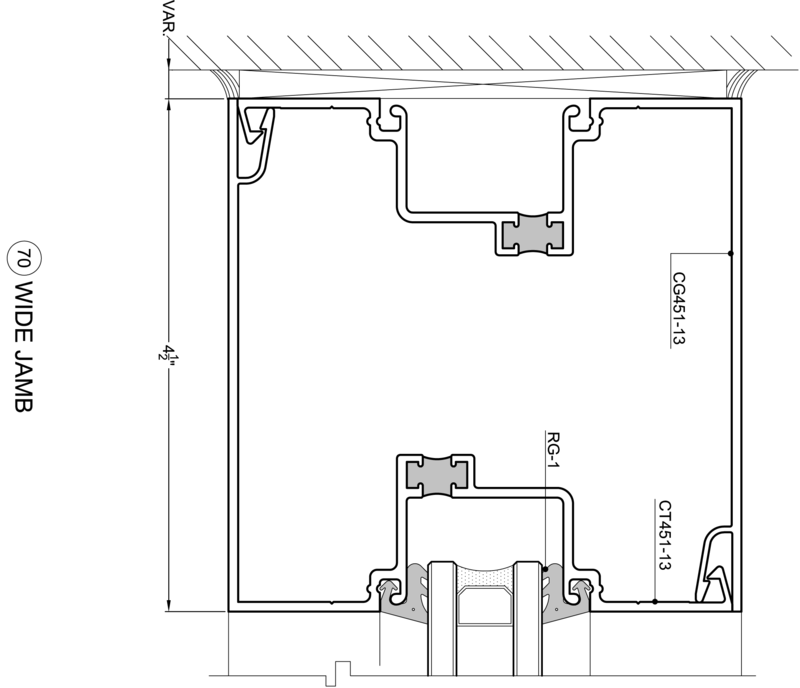 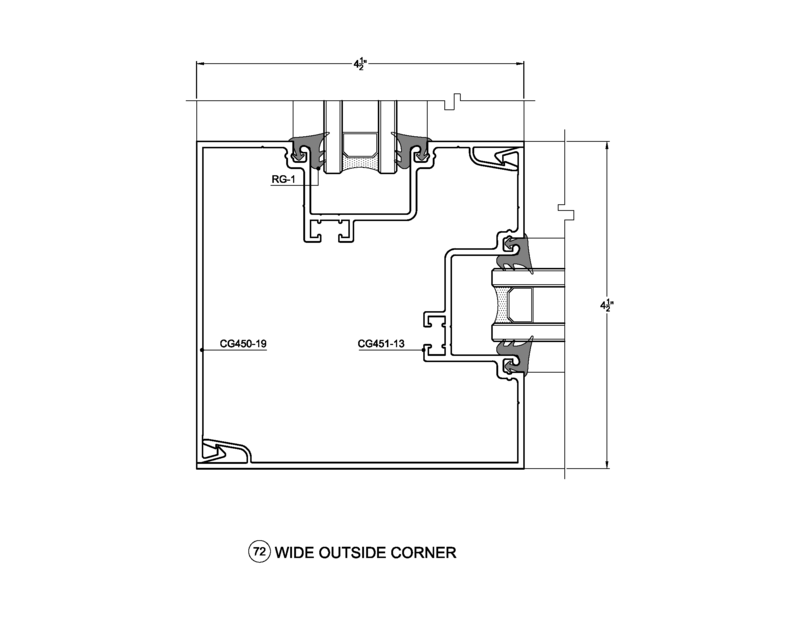 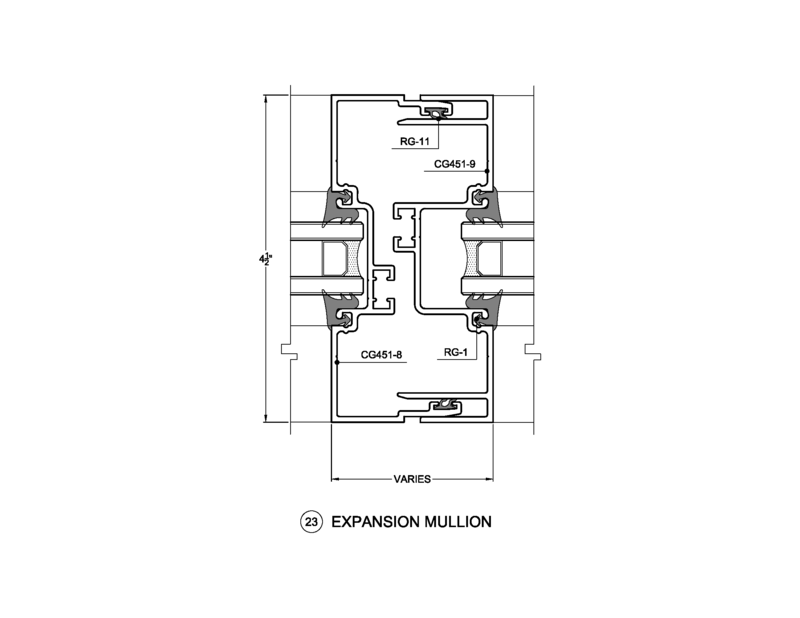 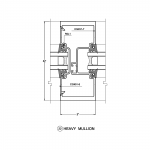 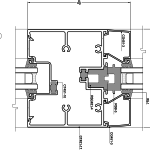 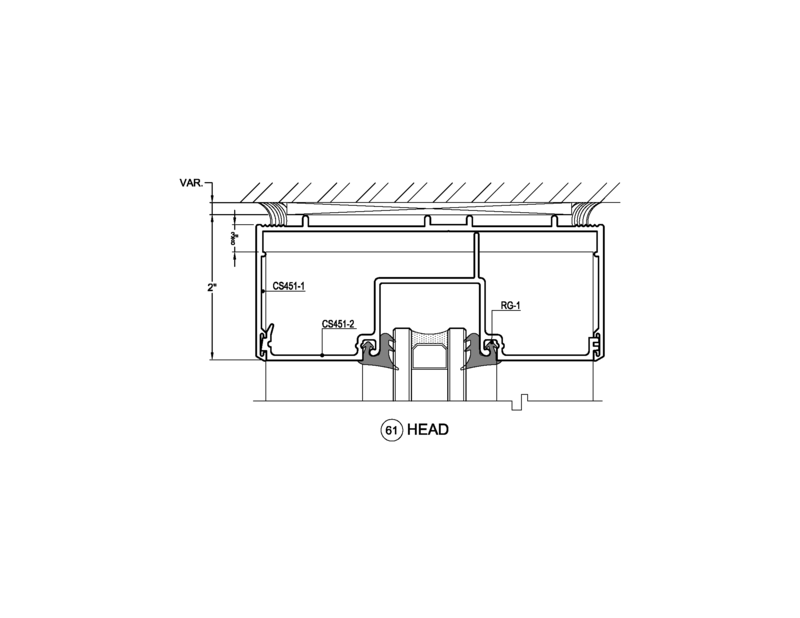 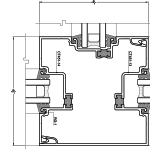 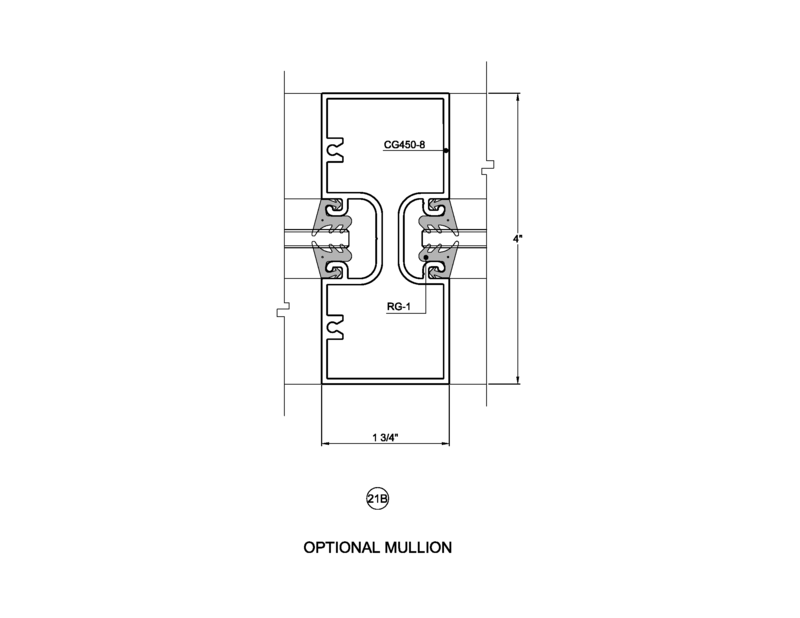 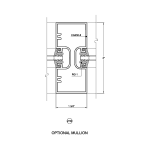 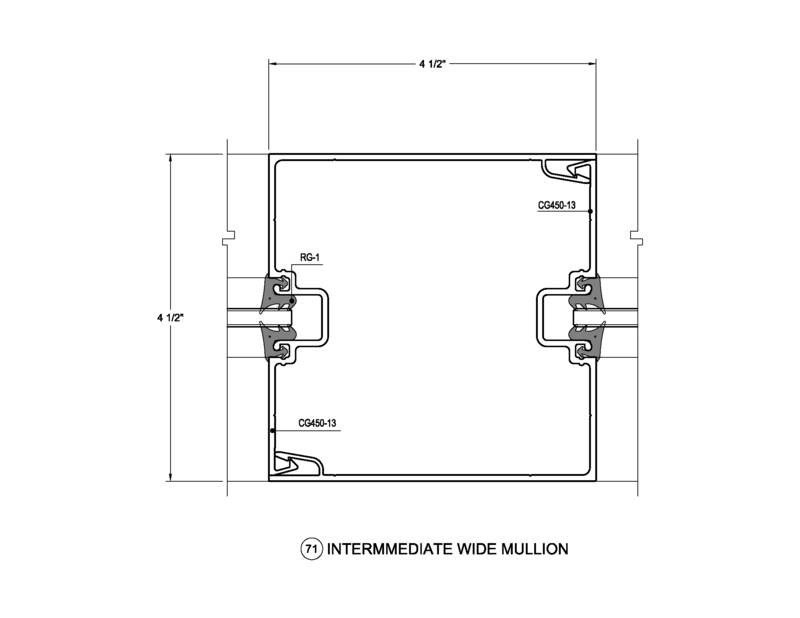 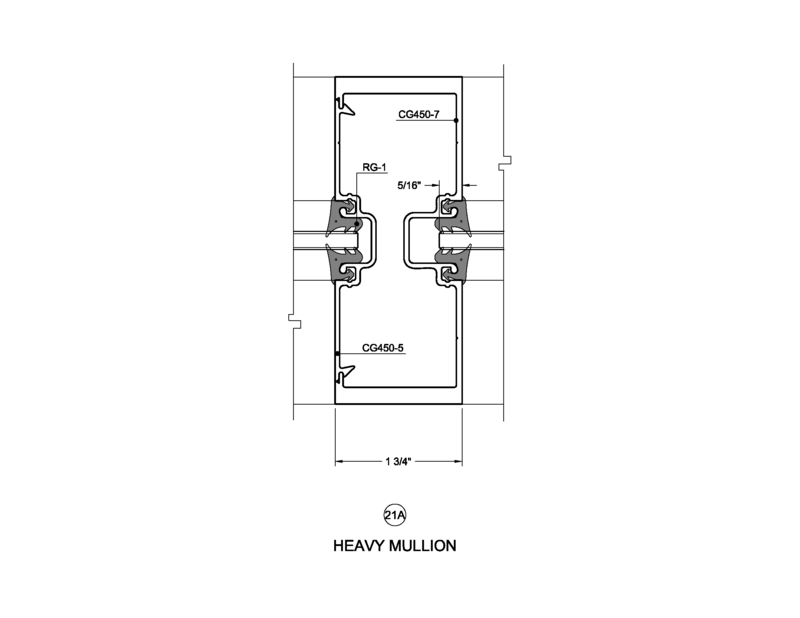 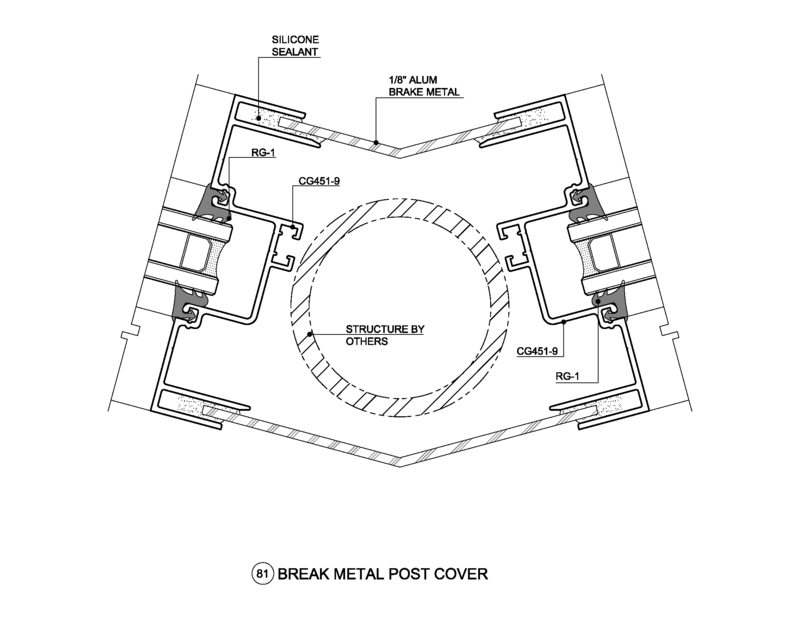 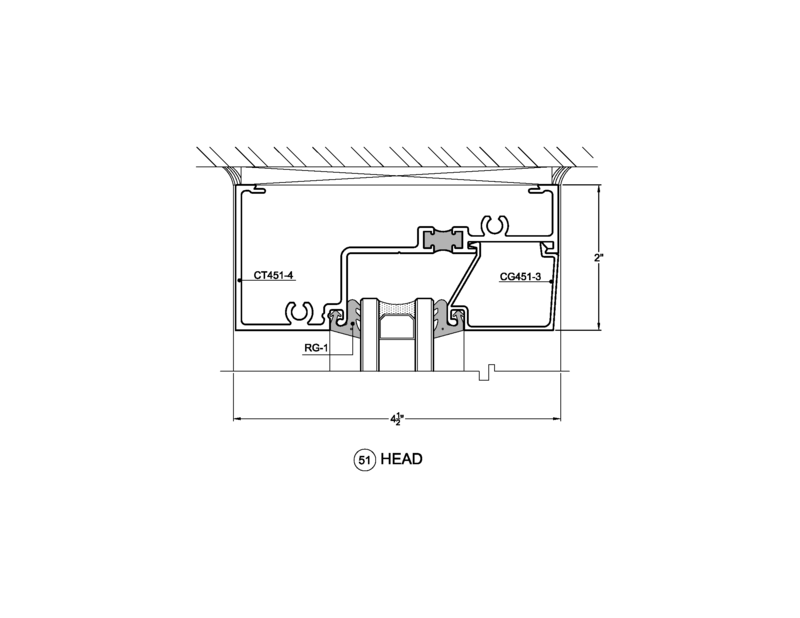 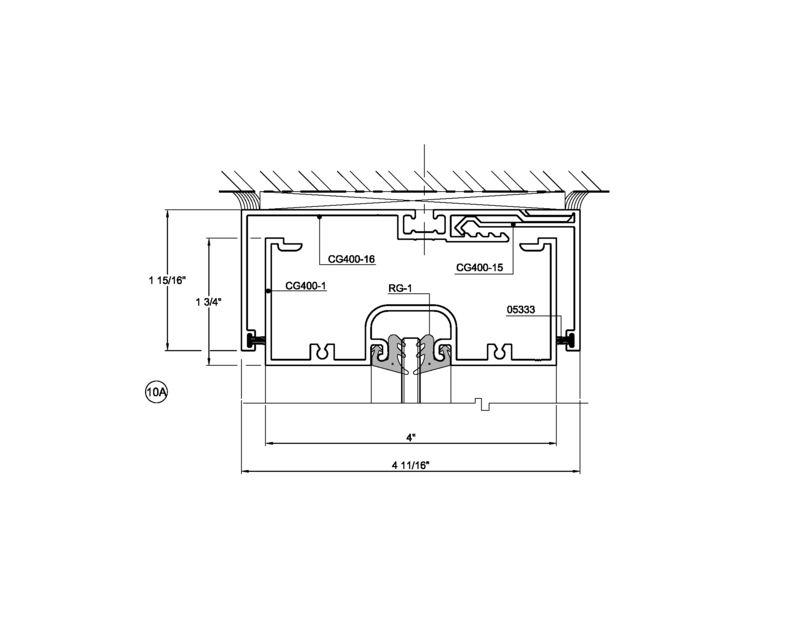 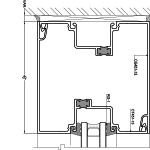 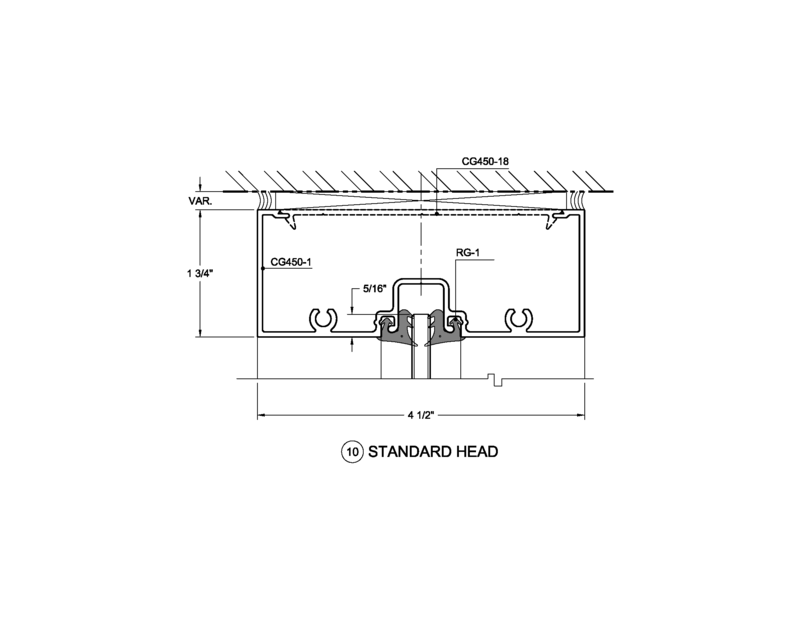 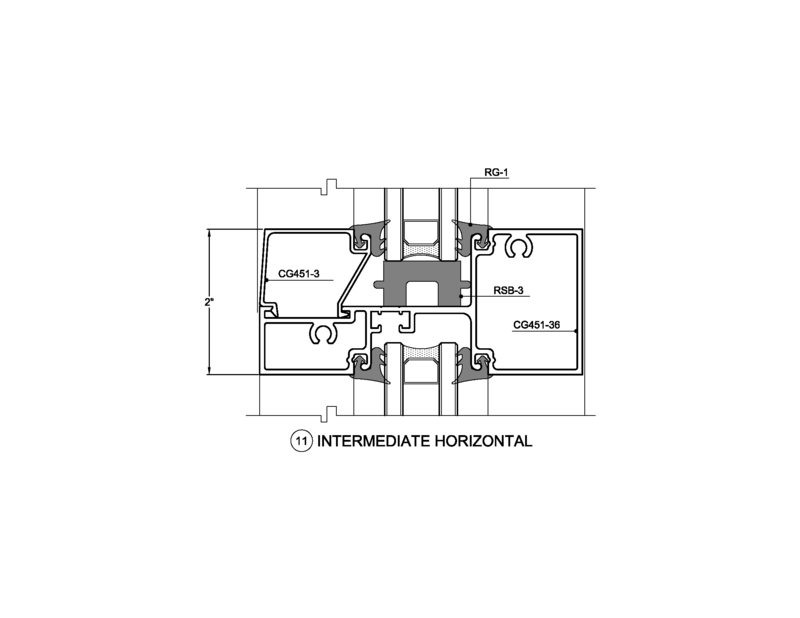 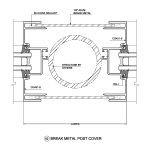 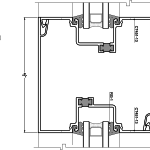 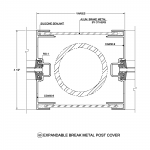 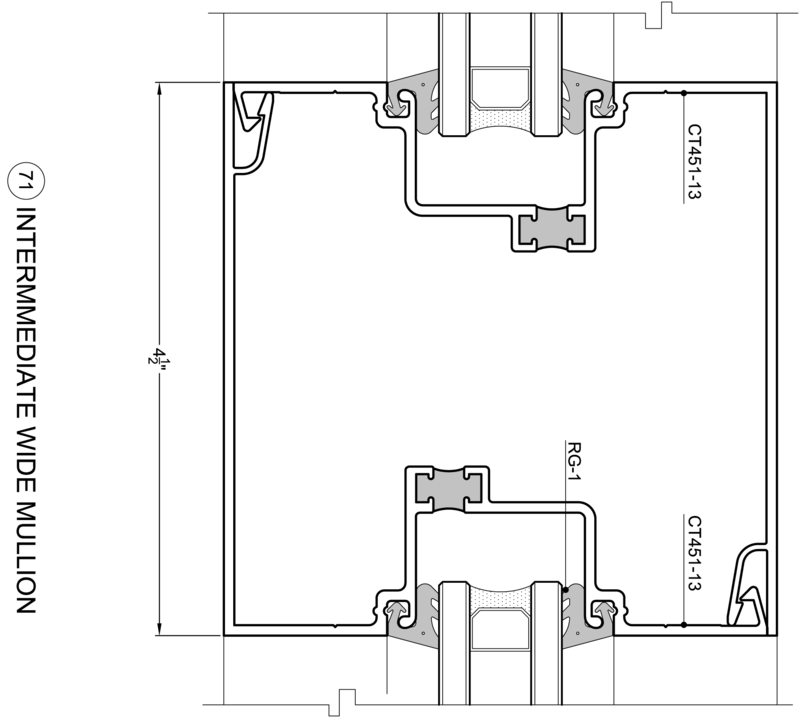 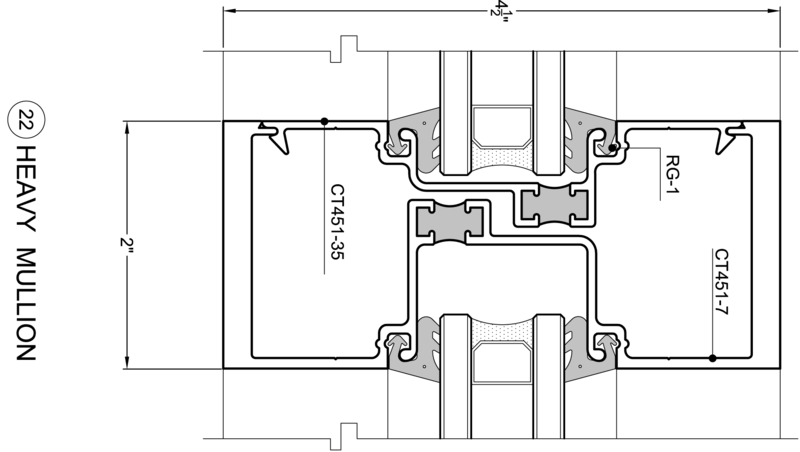 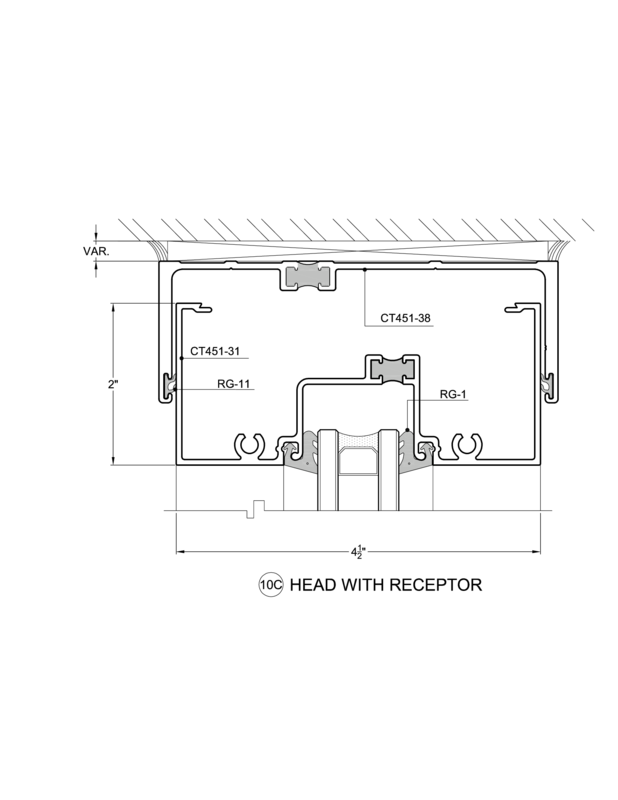 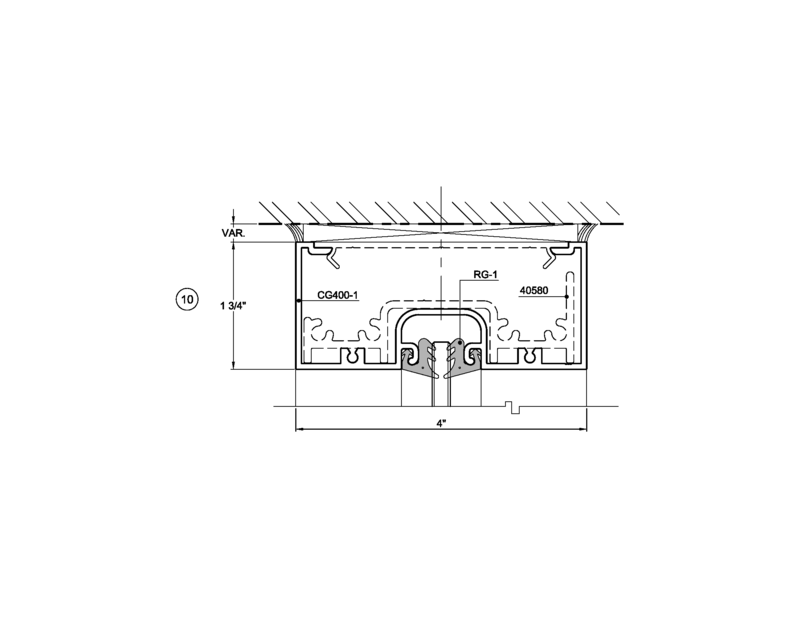 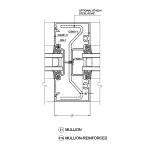 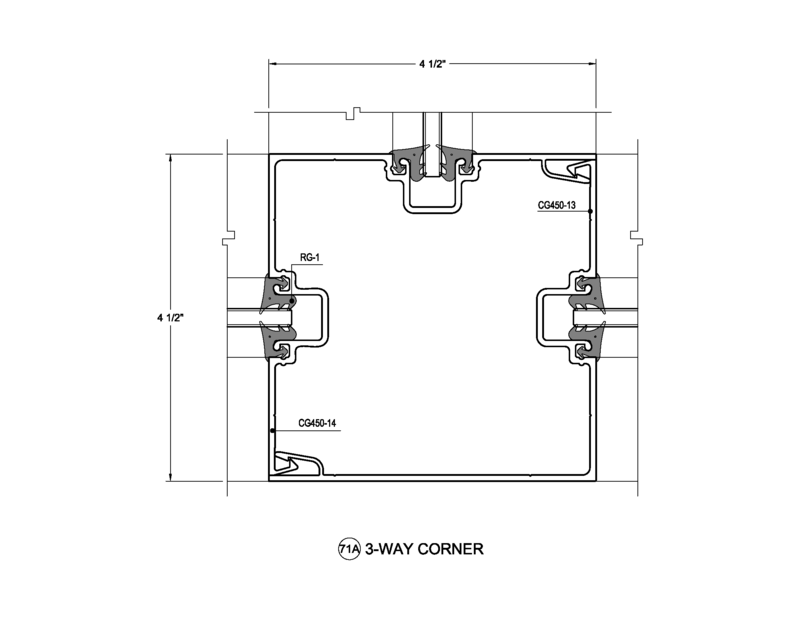 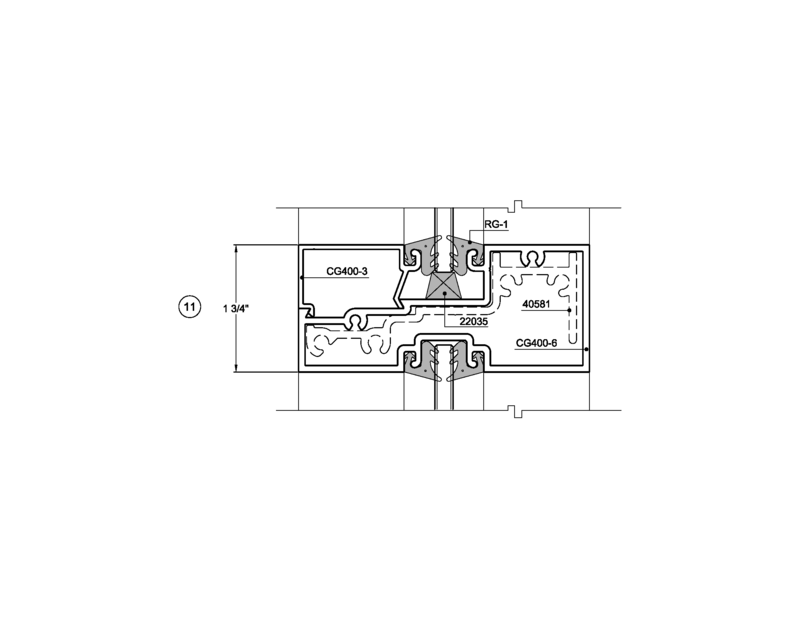 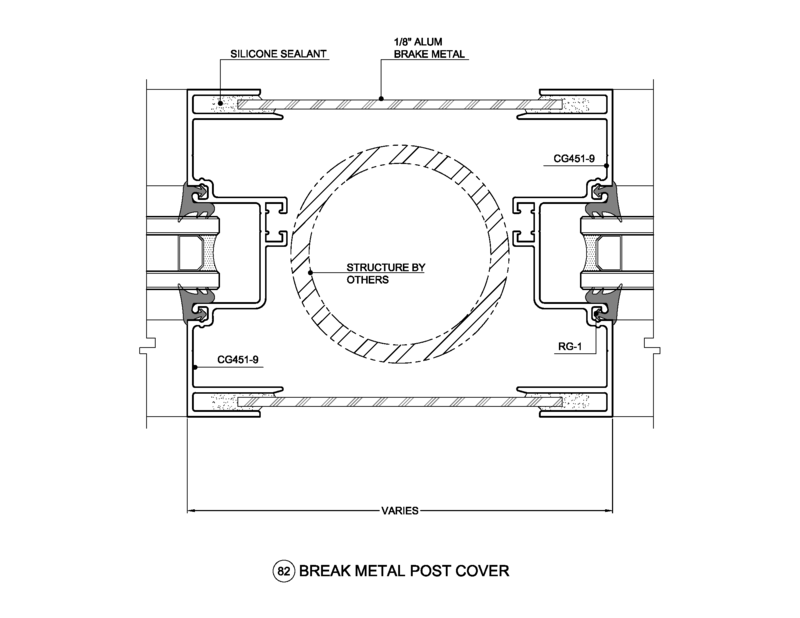 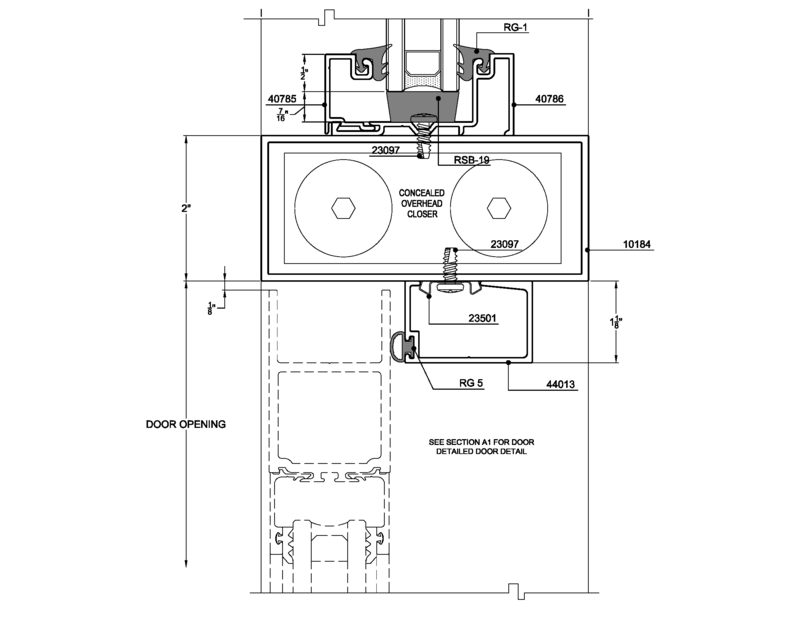 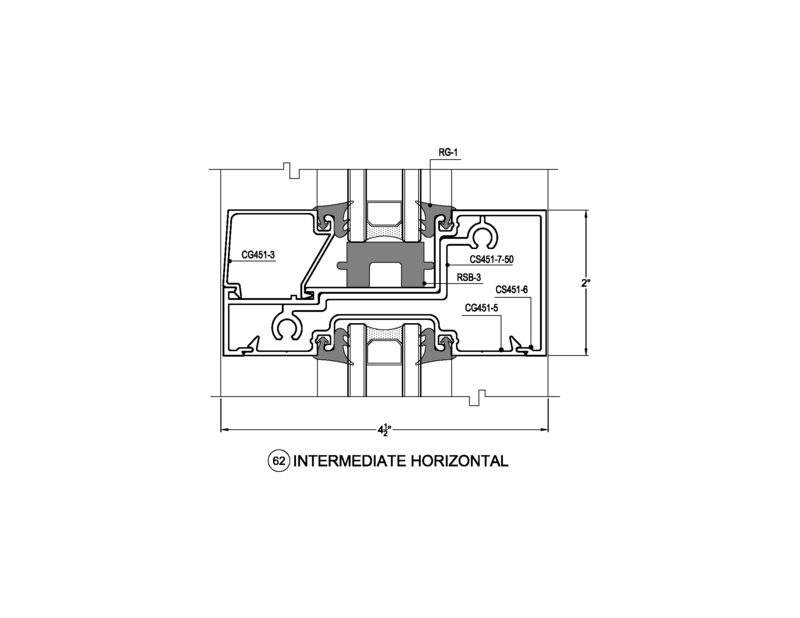 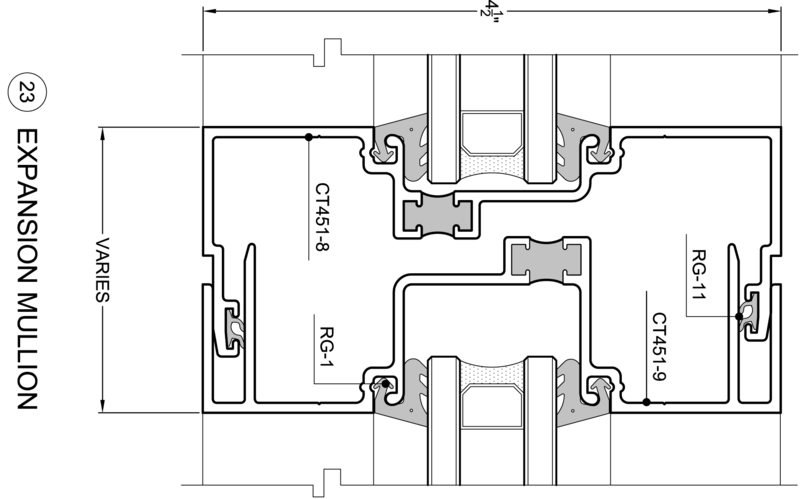 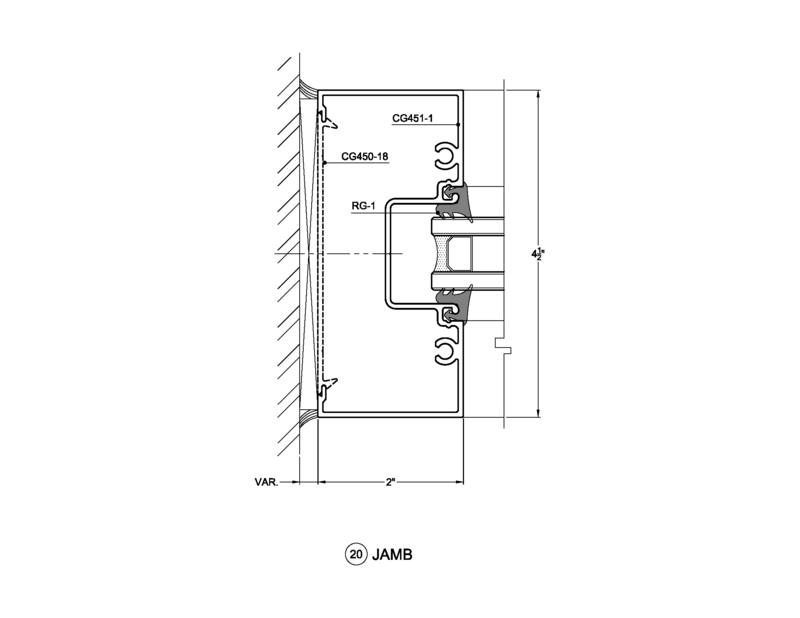 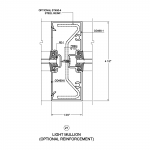 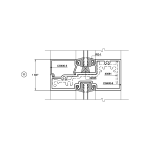 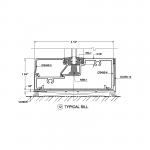 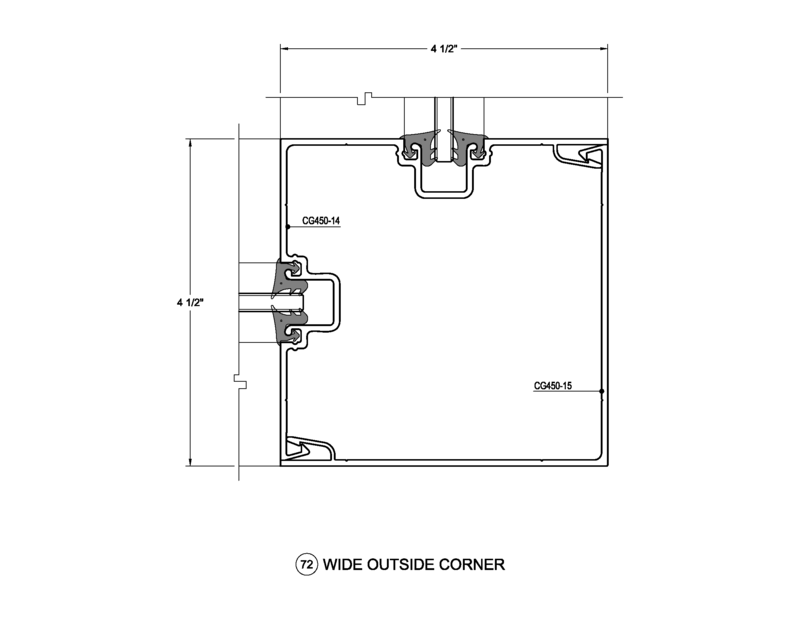 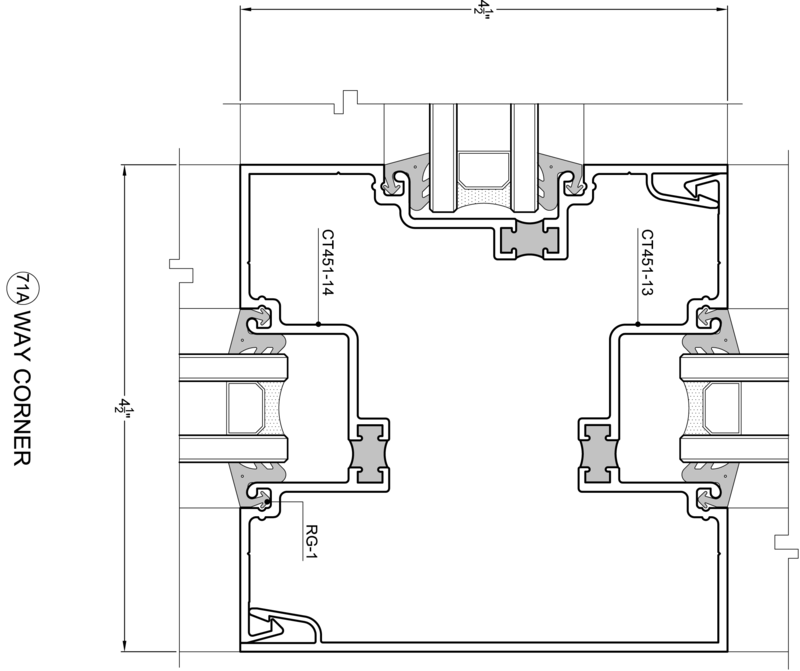 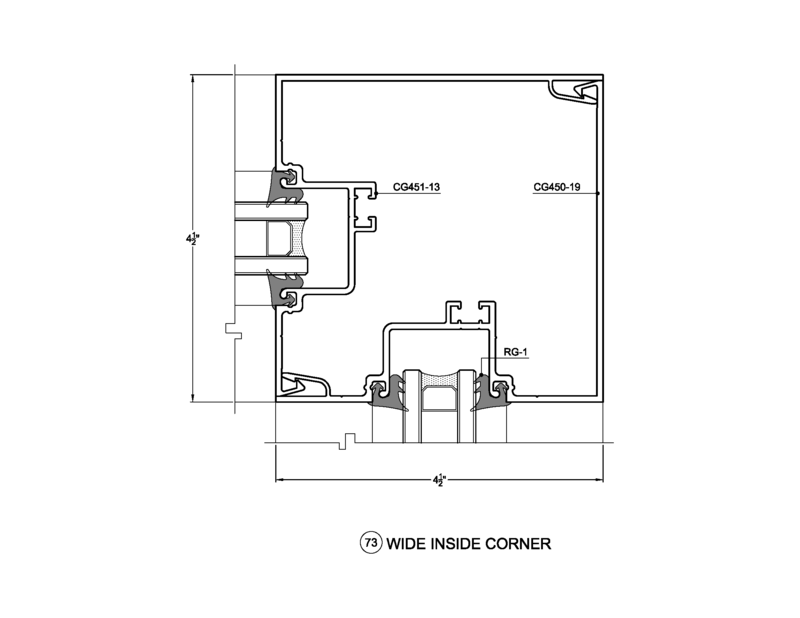 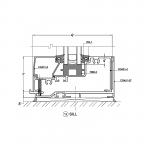 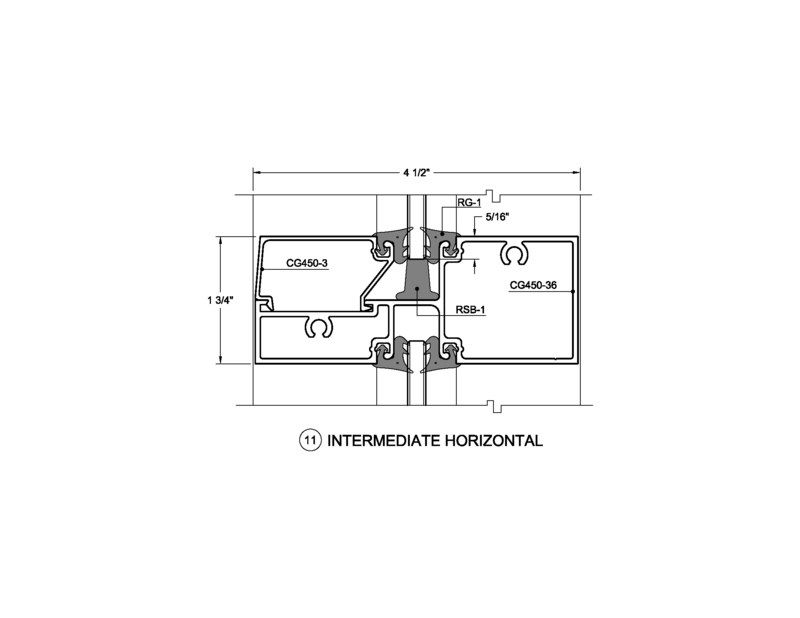 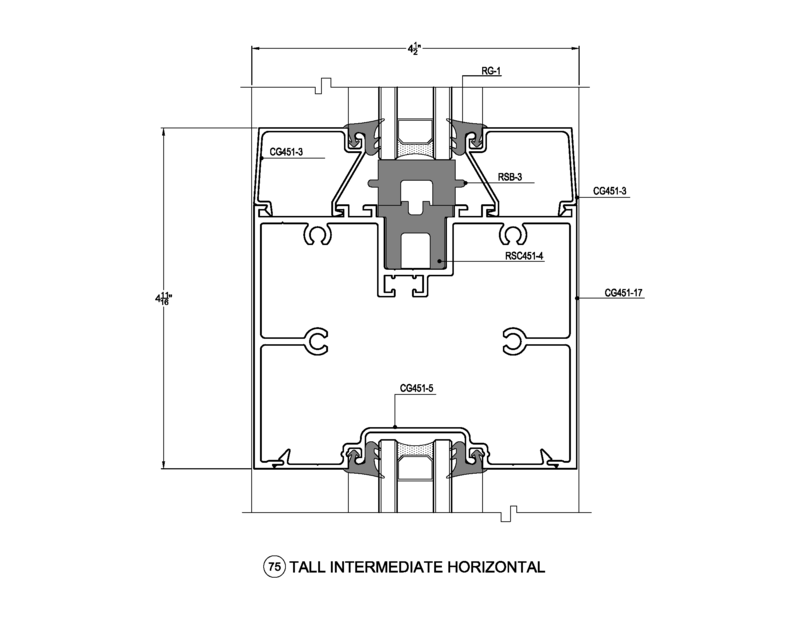 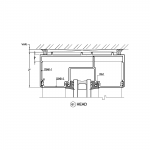 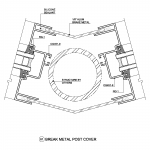 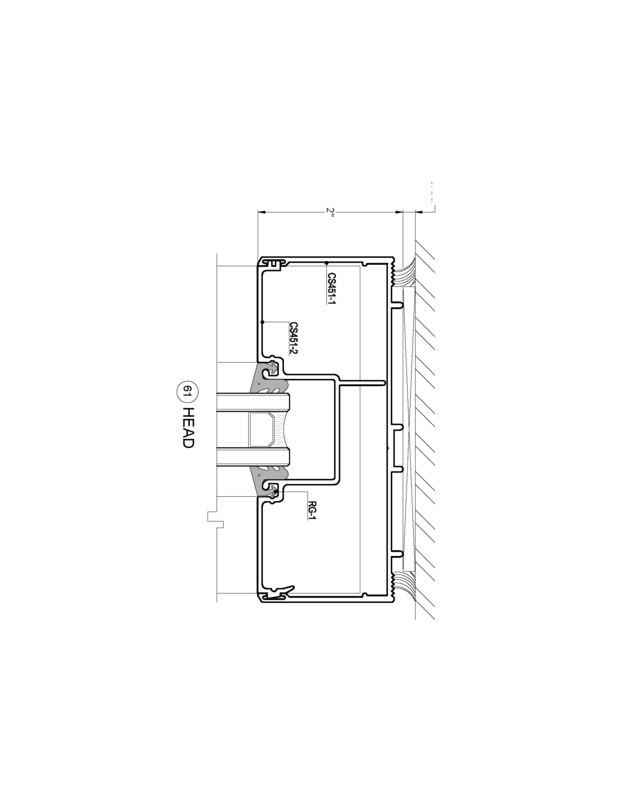 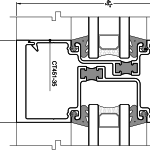 The 2″ x 4-1/2″ center glazed system is available in screw spline or shear clip assembly and is ideal for single span non-thermal storefront applications. 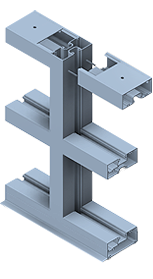 The system has options for interior glazing and stack assembly lending itself to the varying needs of our customers. 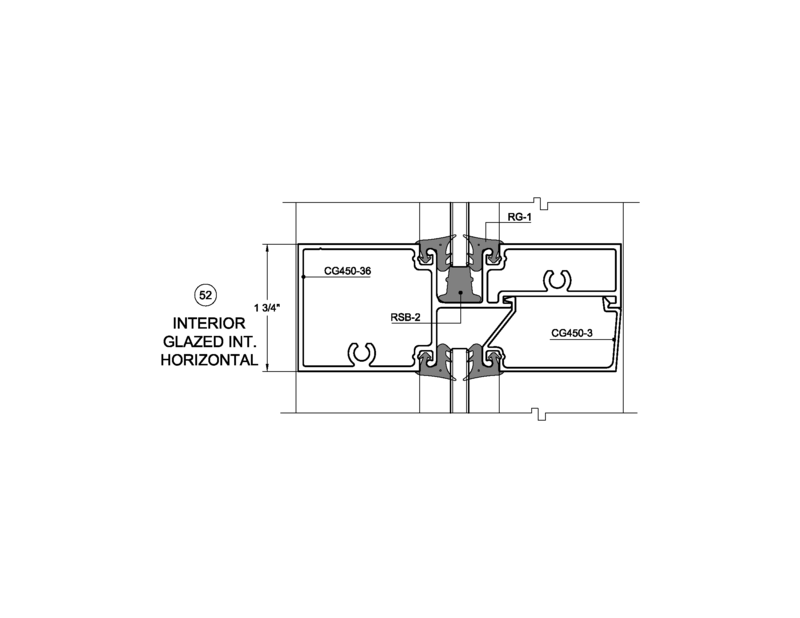 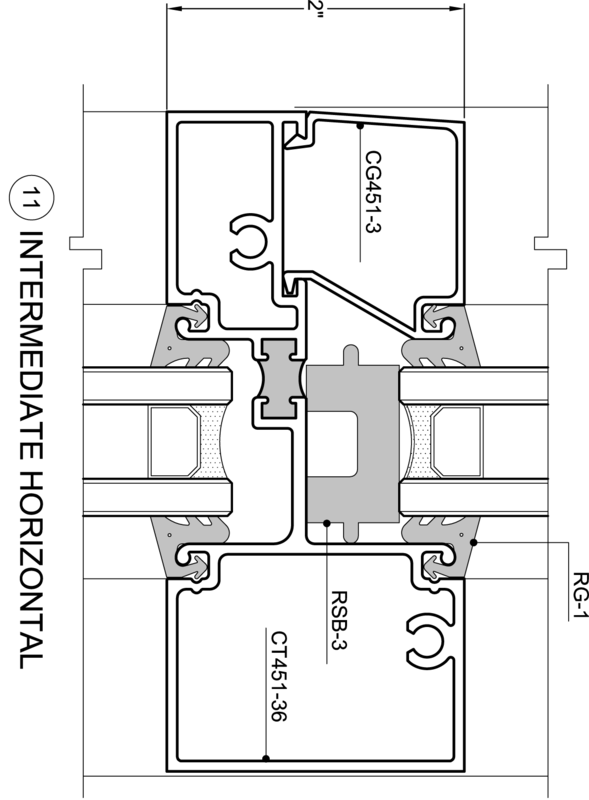 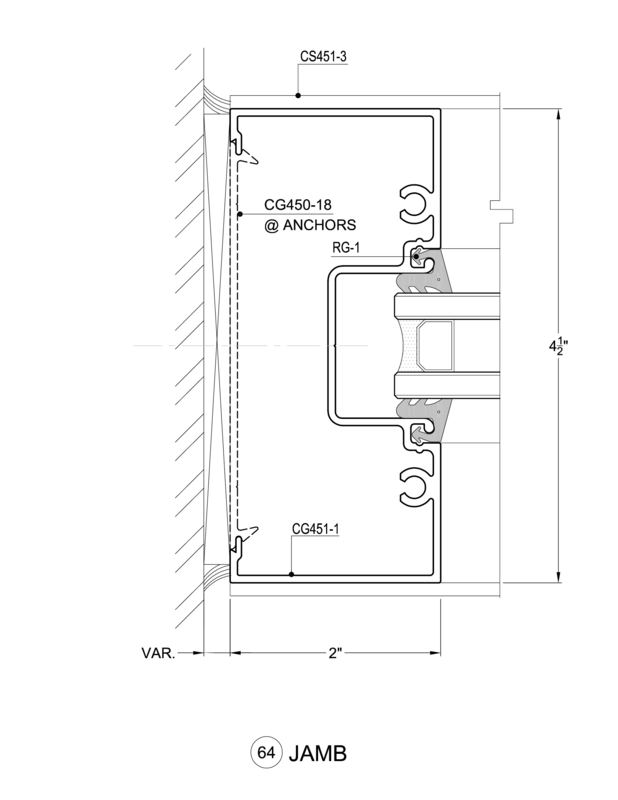 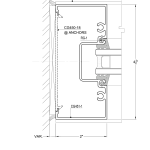 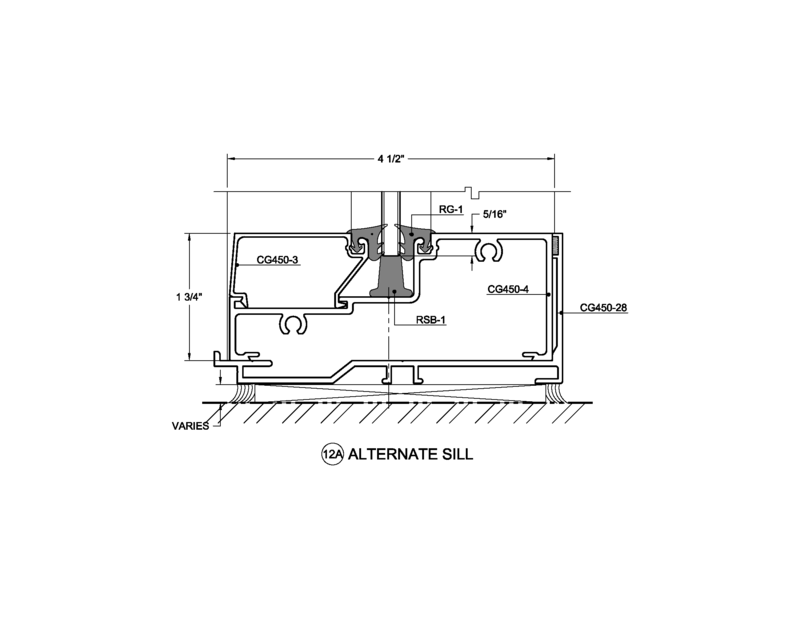 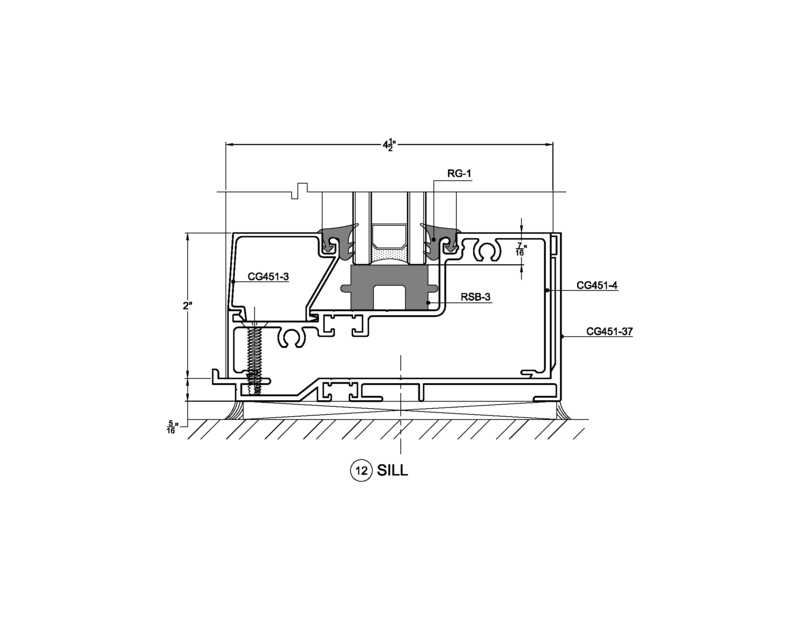 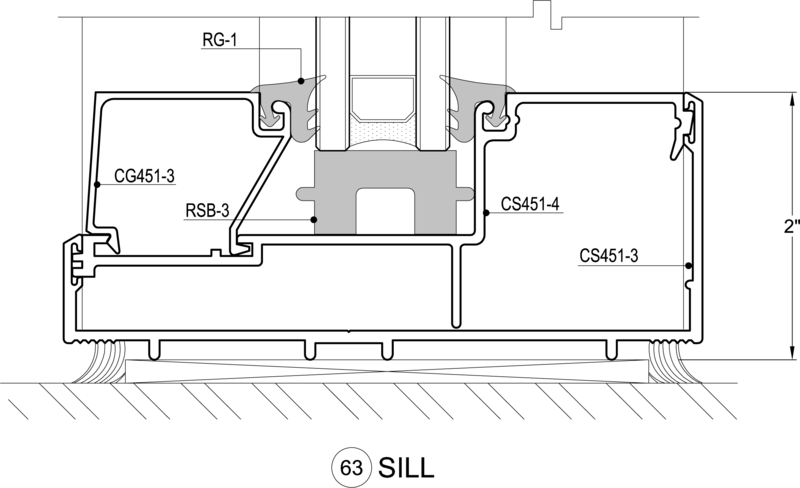 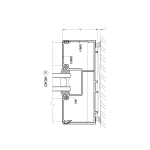 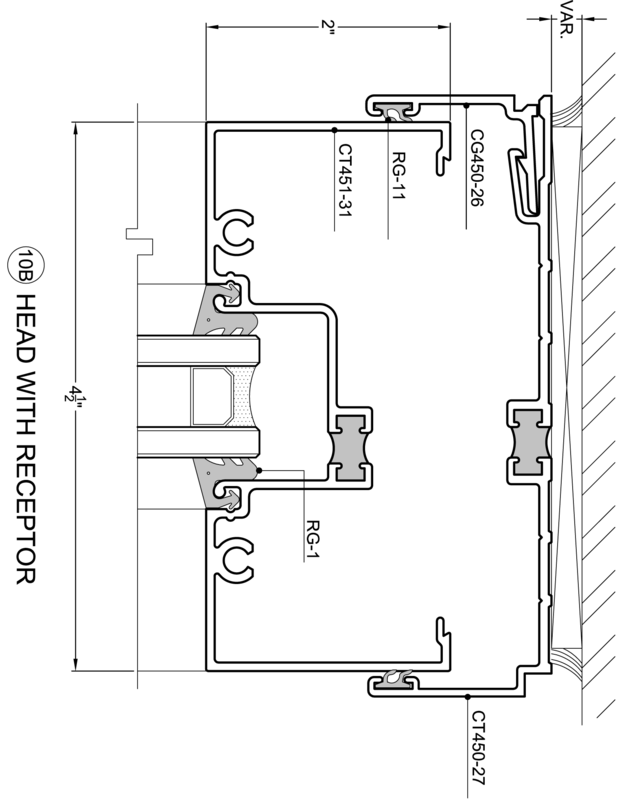 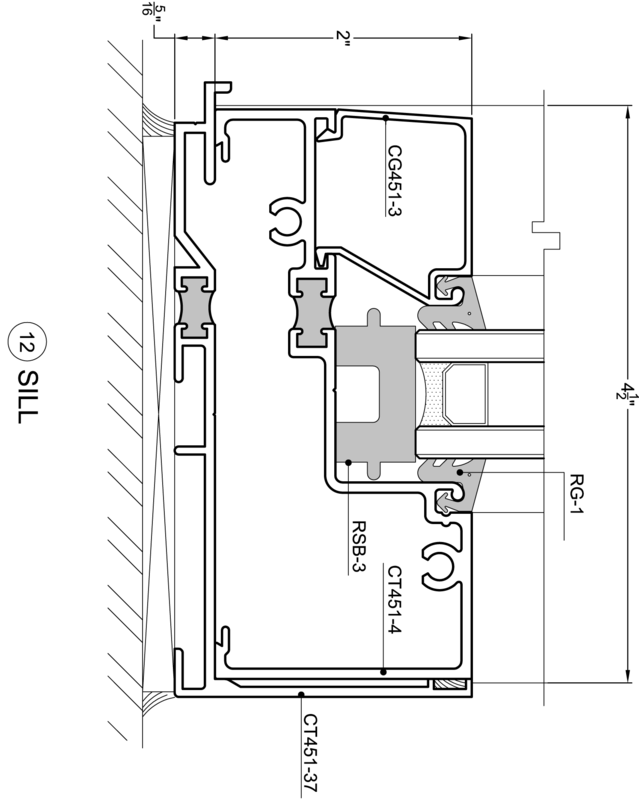 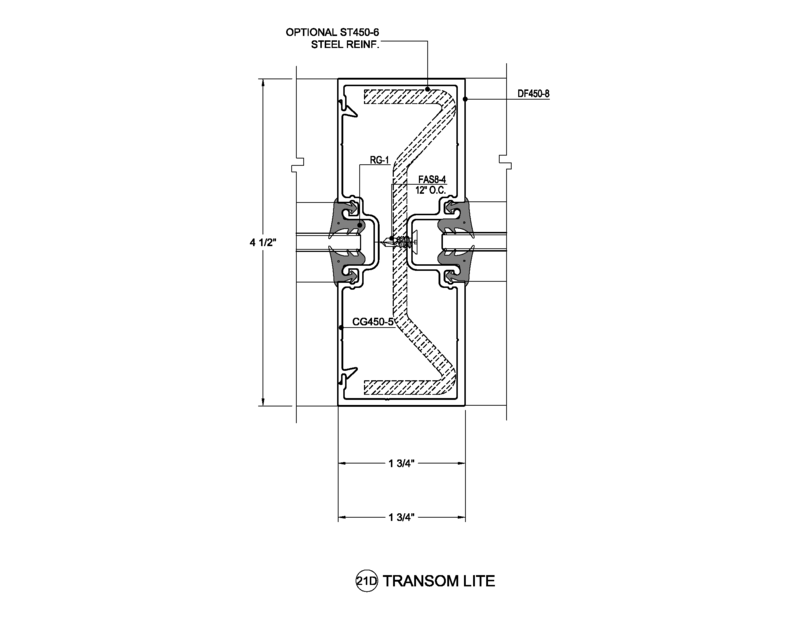 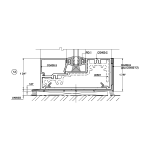 The CS451 can be glazed with 7/8″, 1″ or 1-1/16″ insulated glazing infill. 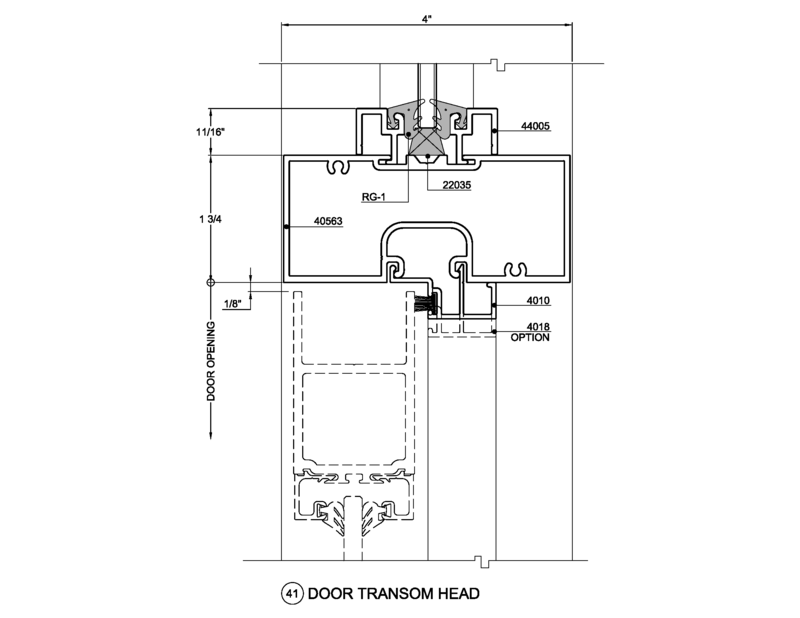 Trulite’s 200, 300 & 500 entrances are easily integrated into this system. 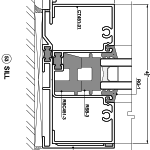 Trulite Glass & Aluminum Solutions’ CT451 Storefront is engineered to provide simple fabrication, easy assembly and problem free installations in an easy to use, economical flush glazed framing system. 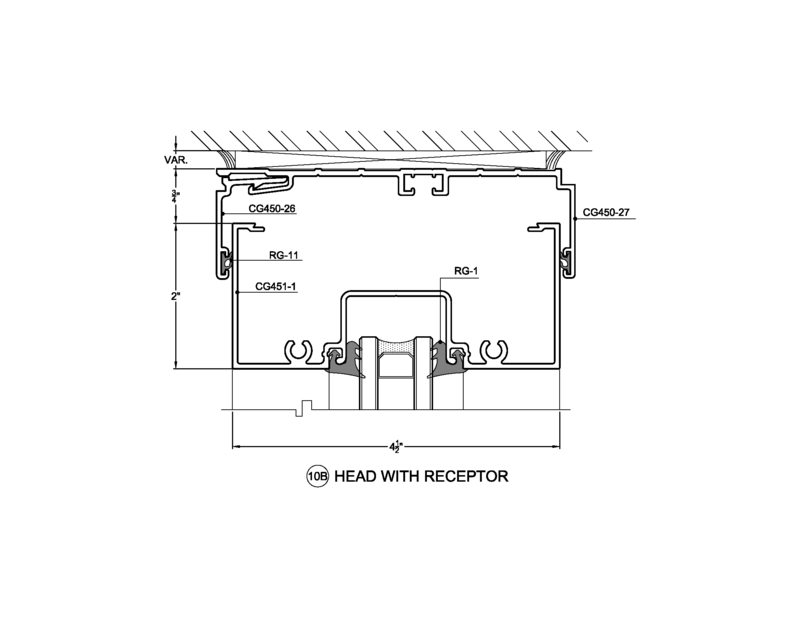 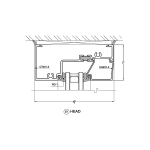 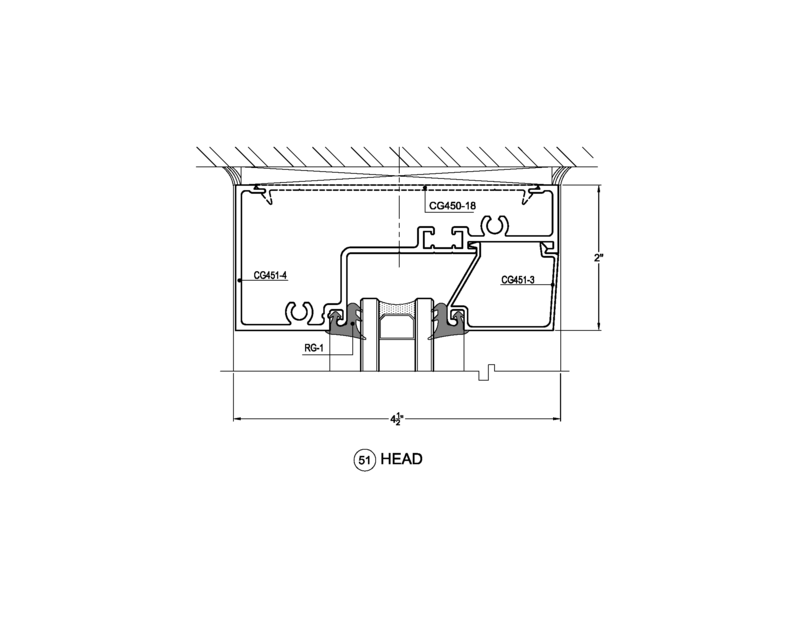 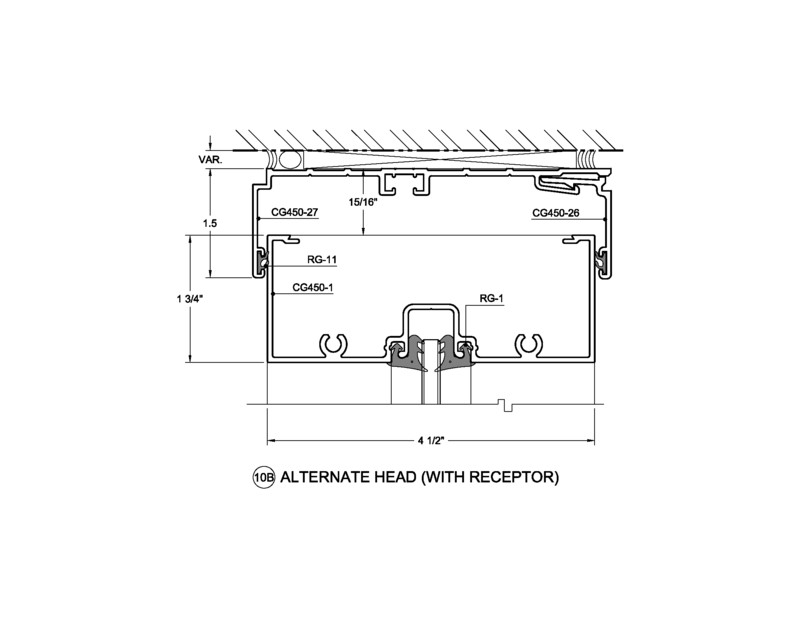 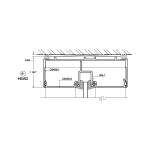 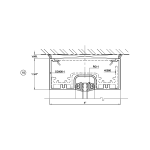 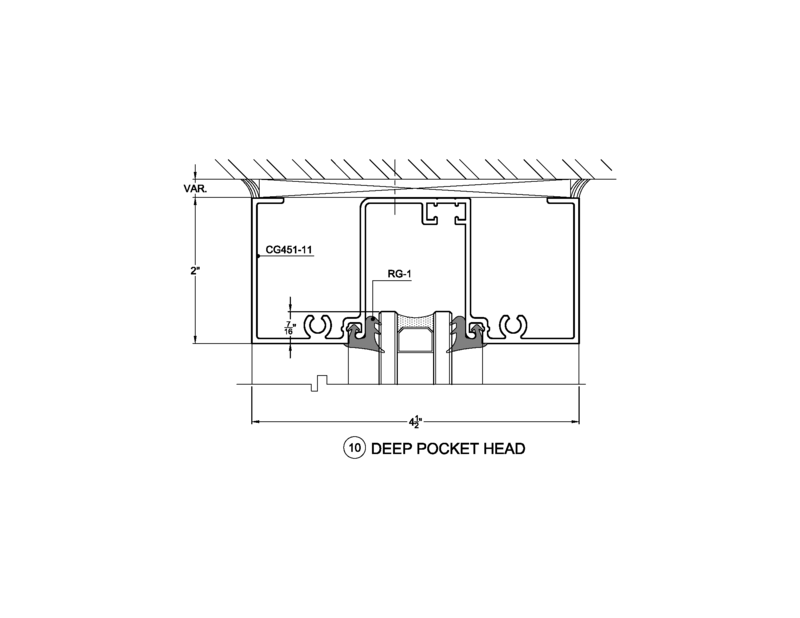 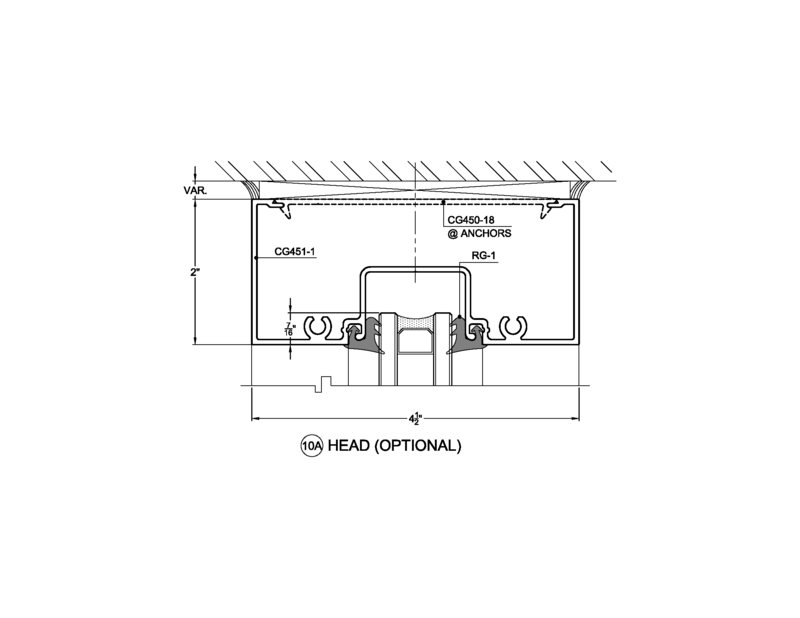 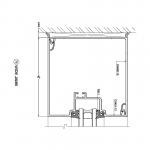 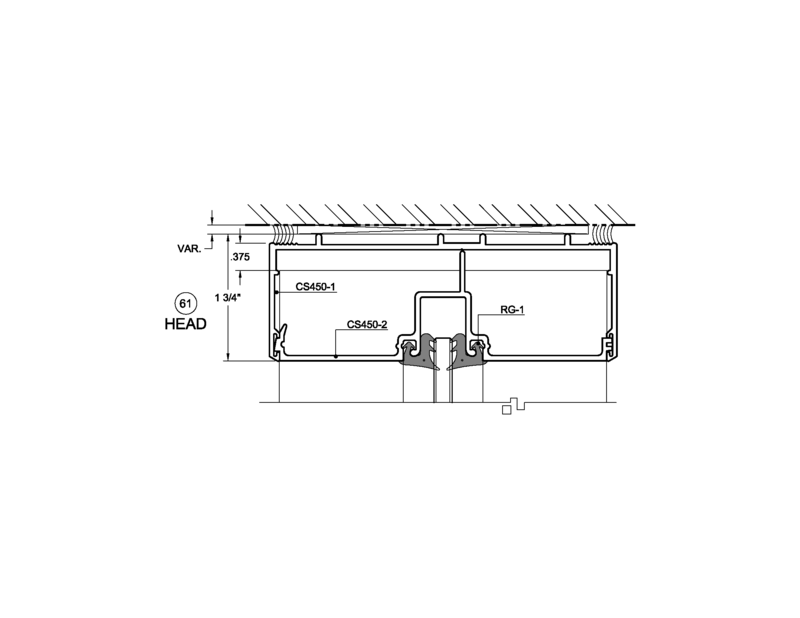 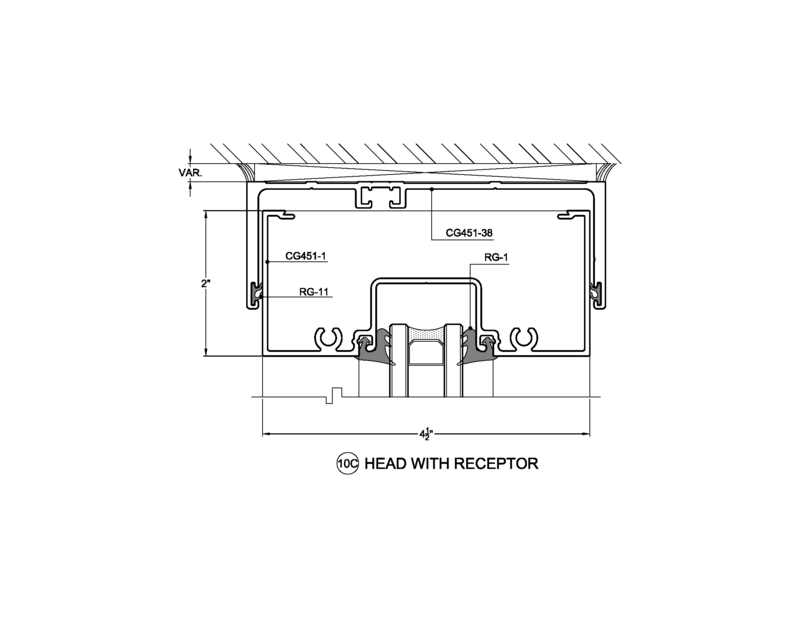 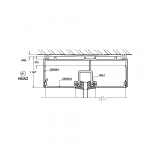 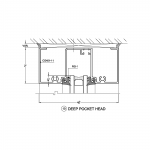 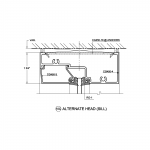 The 2″ x 4-1/2″ center glazed thermally broken system is available in a screw spline assembly and is ideal for single span non-thermal storefront applications. 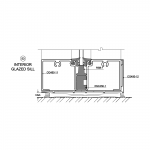 The system has options for interior glazing lending itself to the varying needs of our customers. 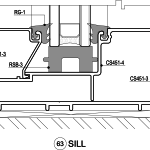 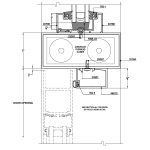 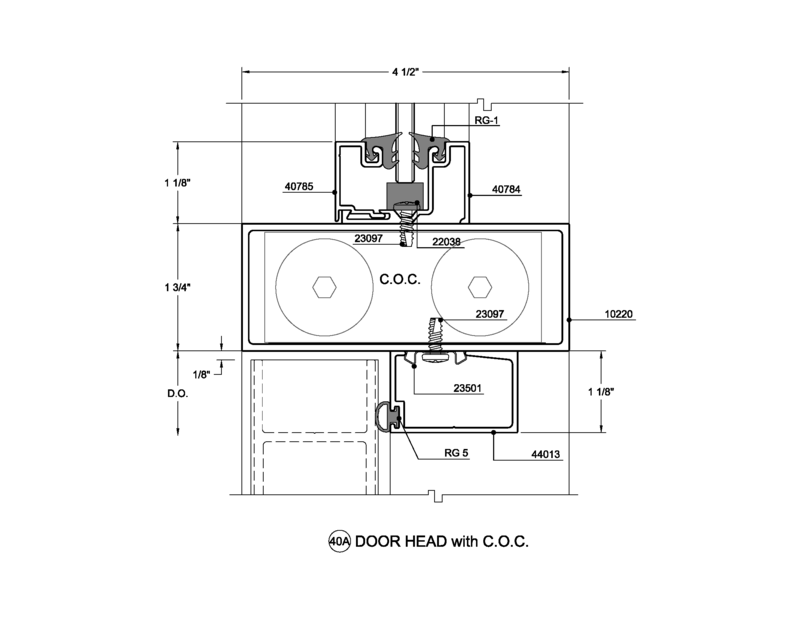 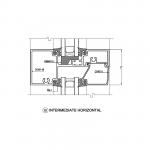 The CT451 can be glazed with 7/8″or 1″ insulated glazing infill. 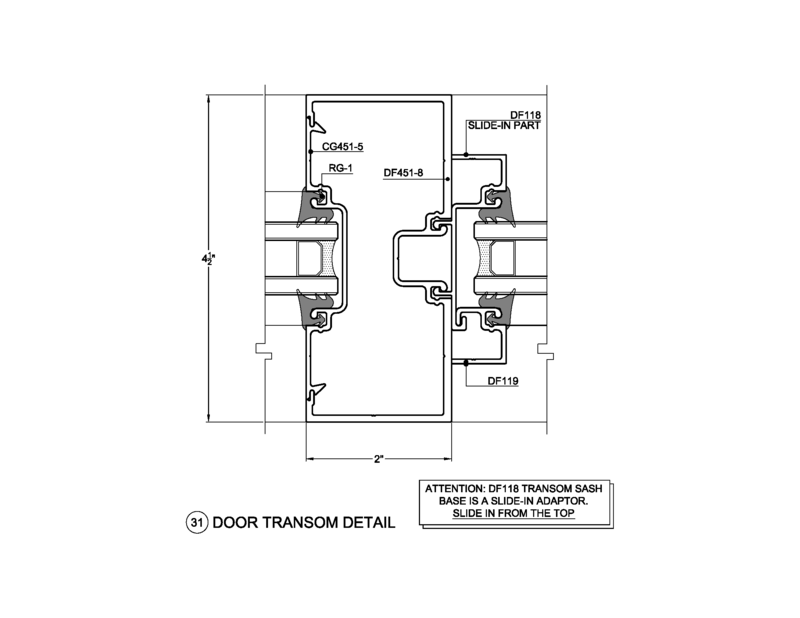 Trulite’s 200, 300 & 500 entrances are easily integrated into this system.